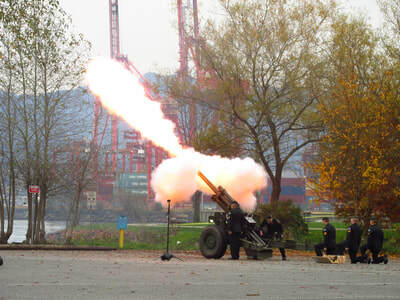 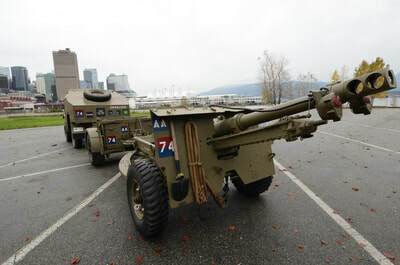 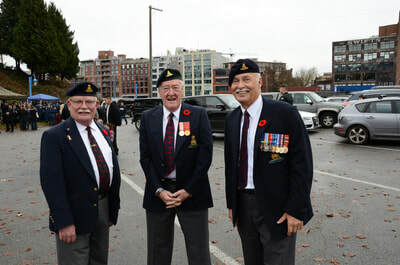 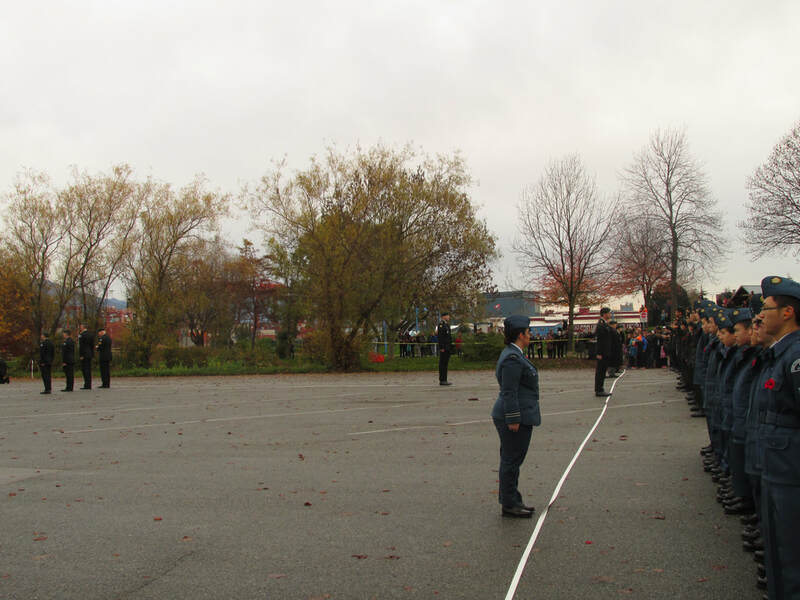 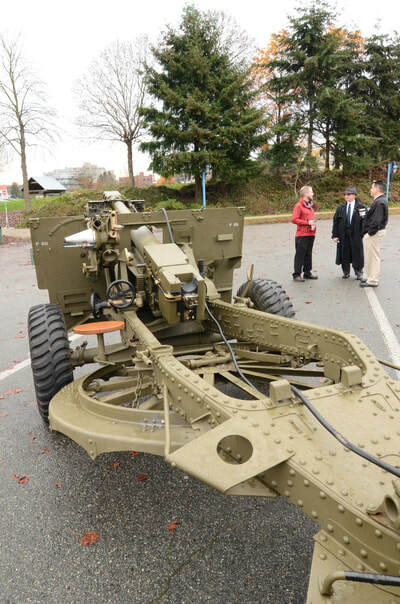 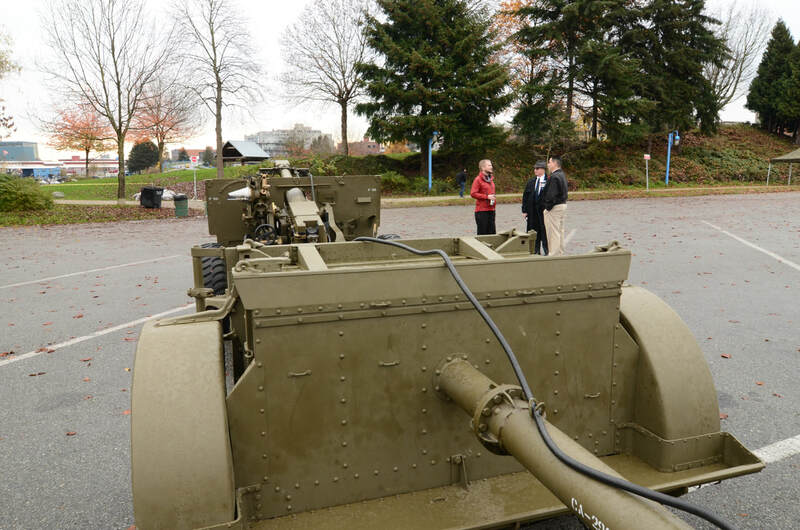 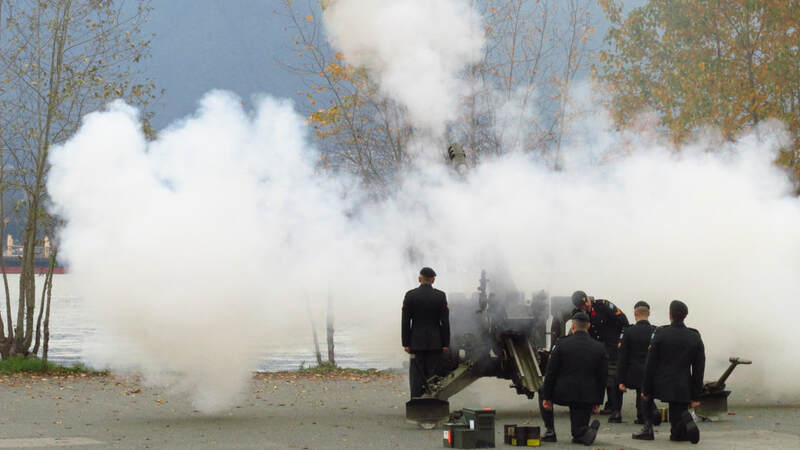 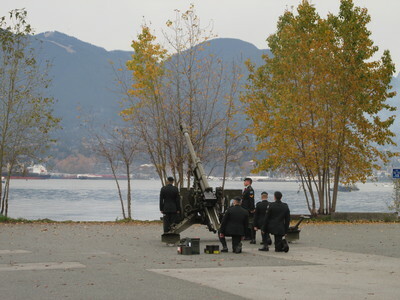 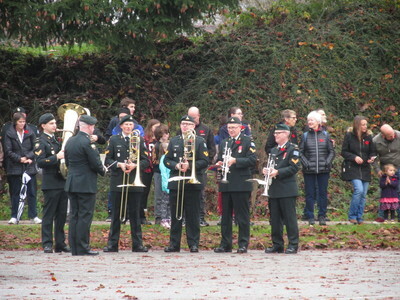 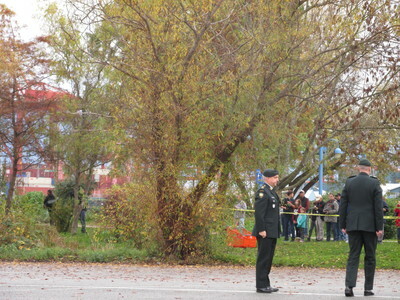 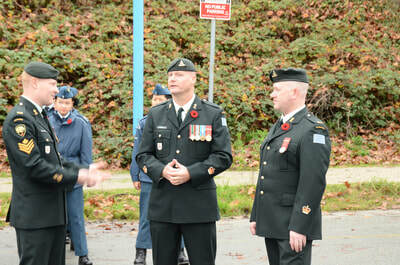 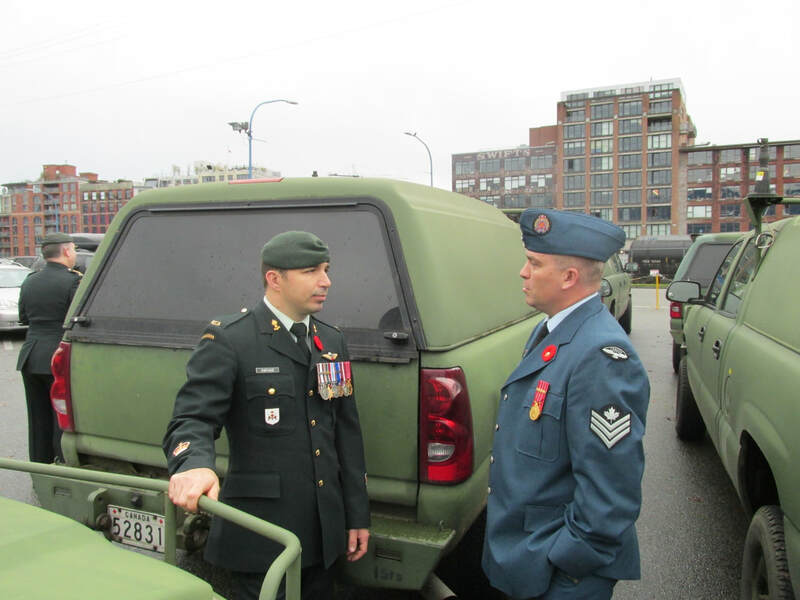 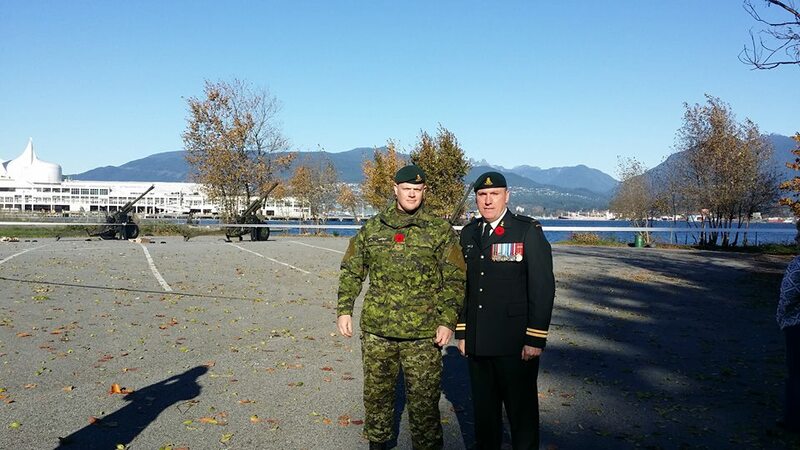 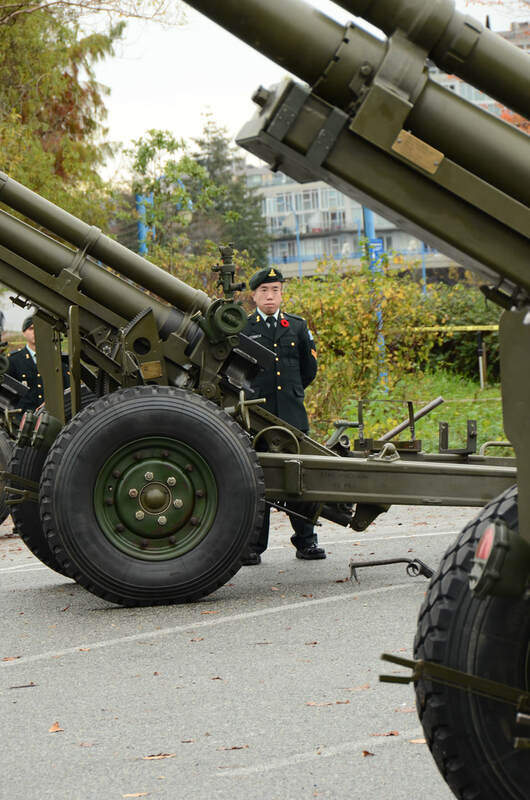 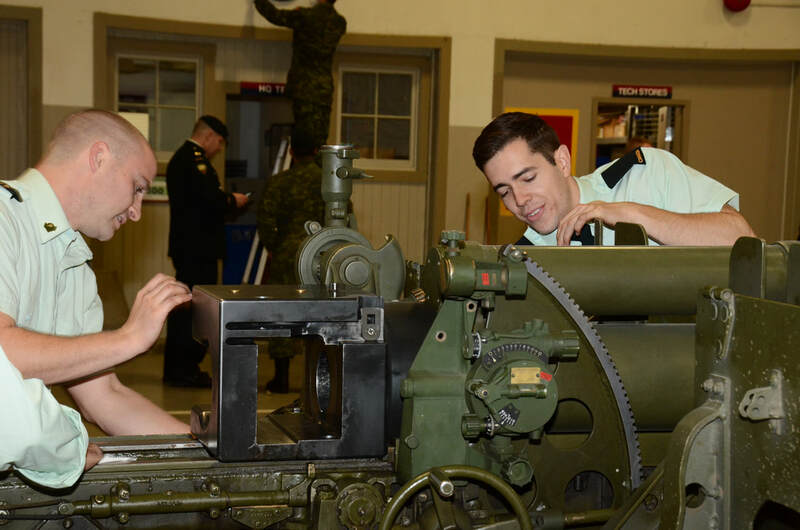 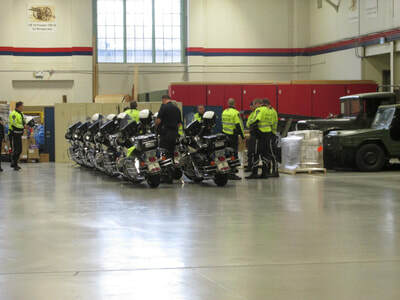 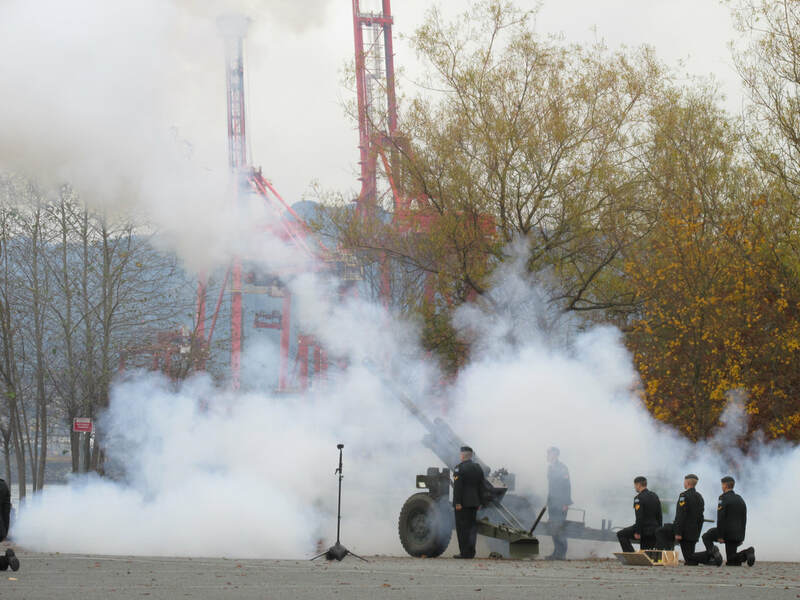 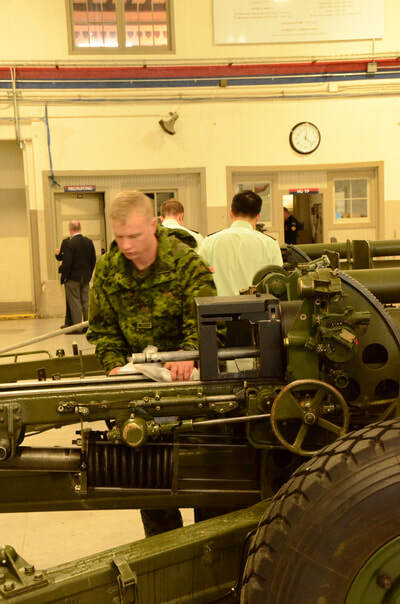 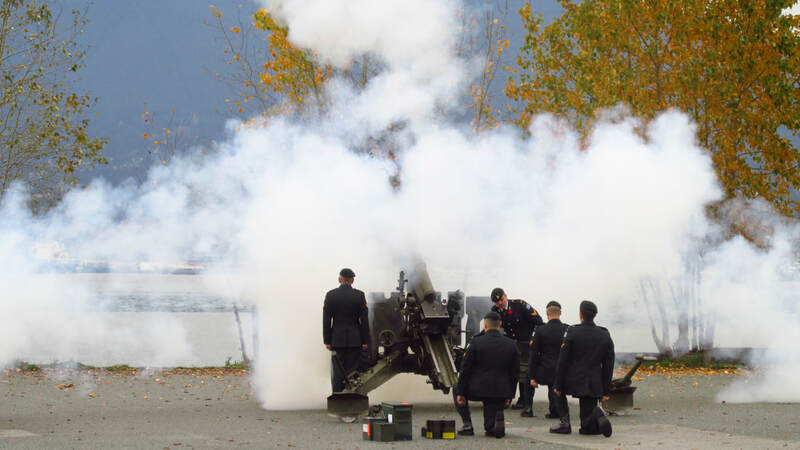 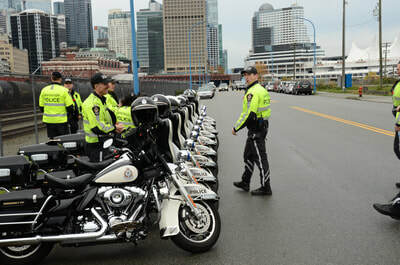 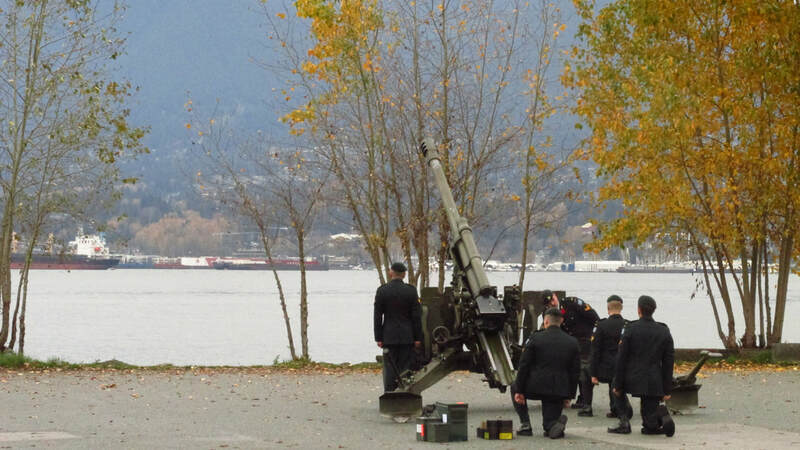 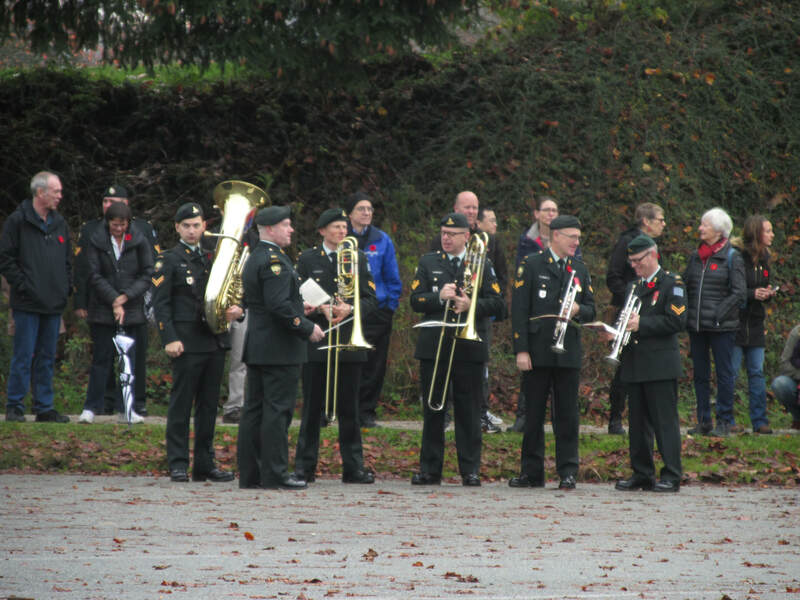 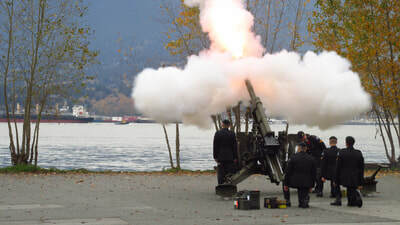 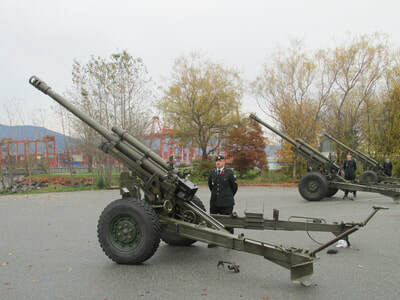 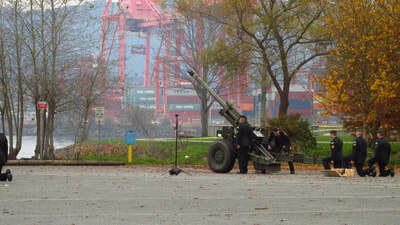 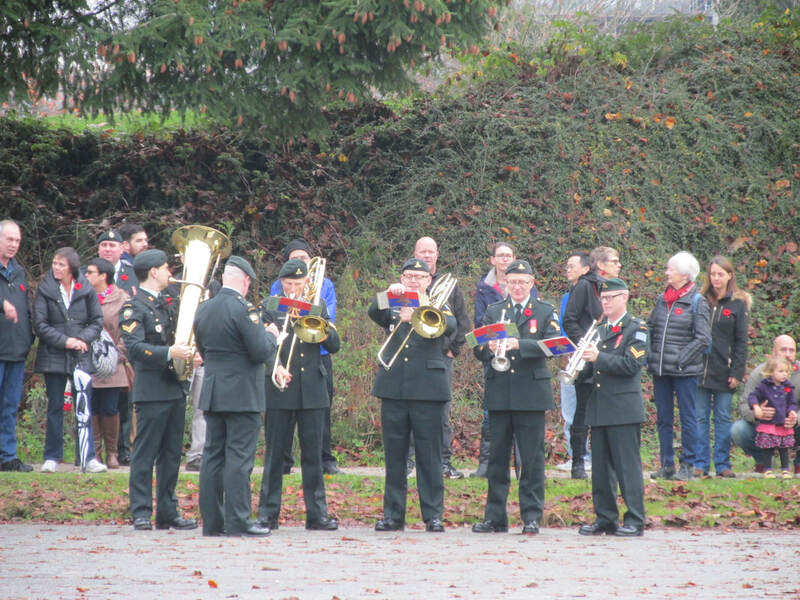 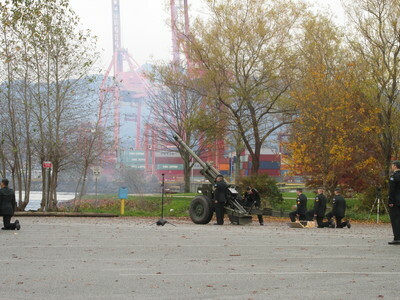 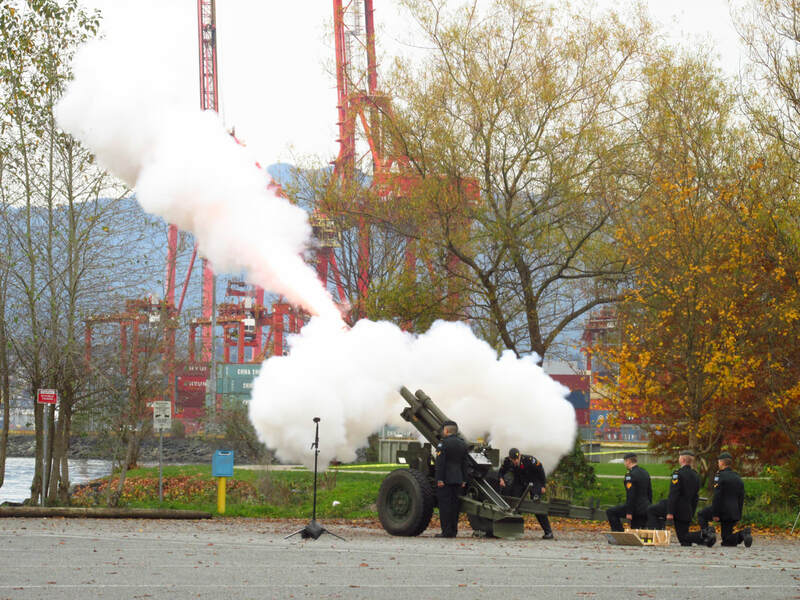 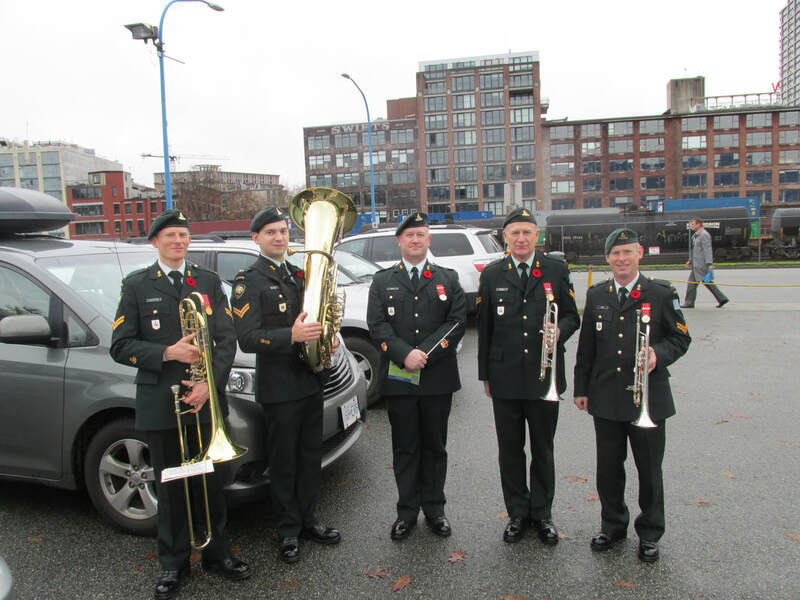 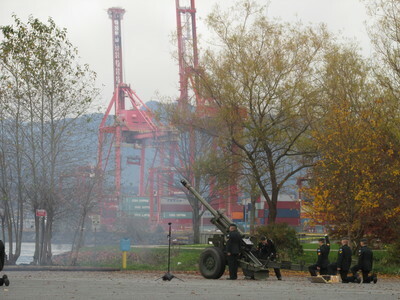 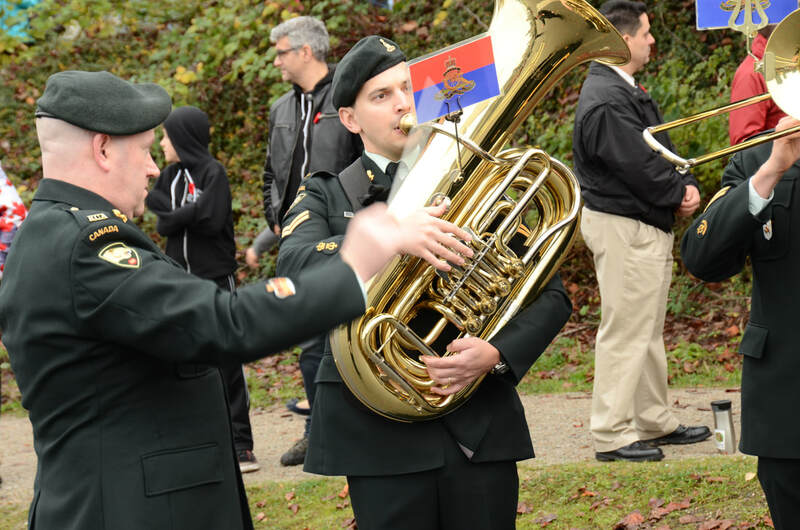 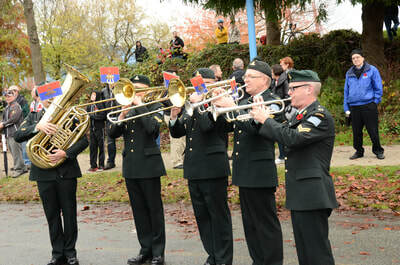 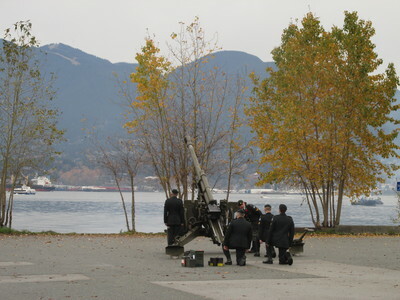 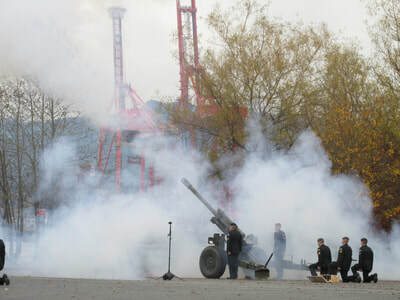 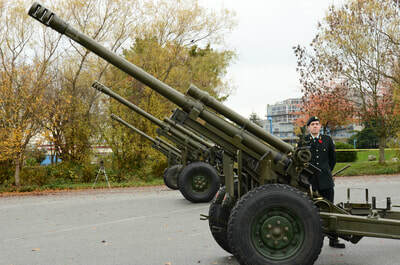 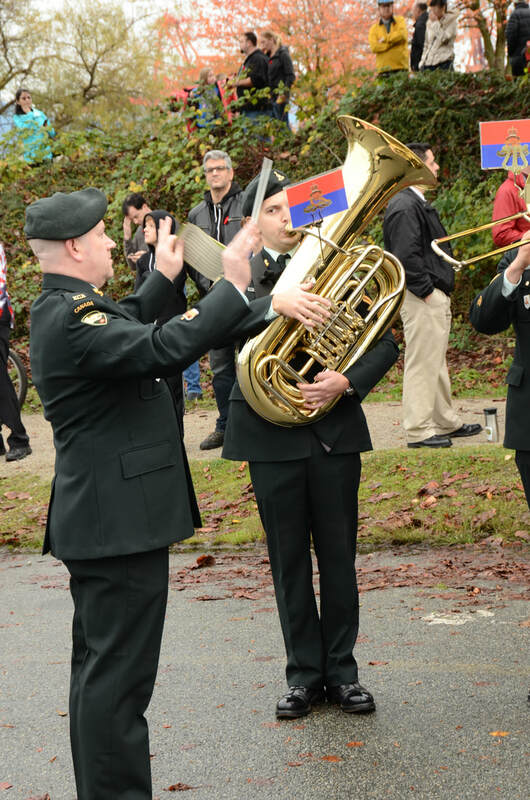 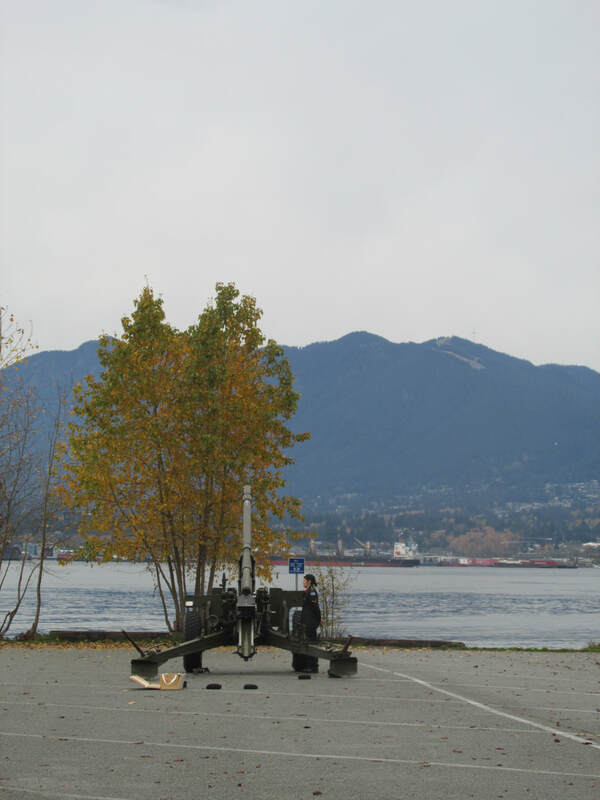 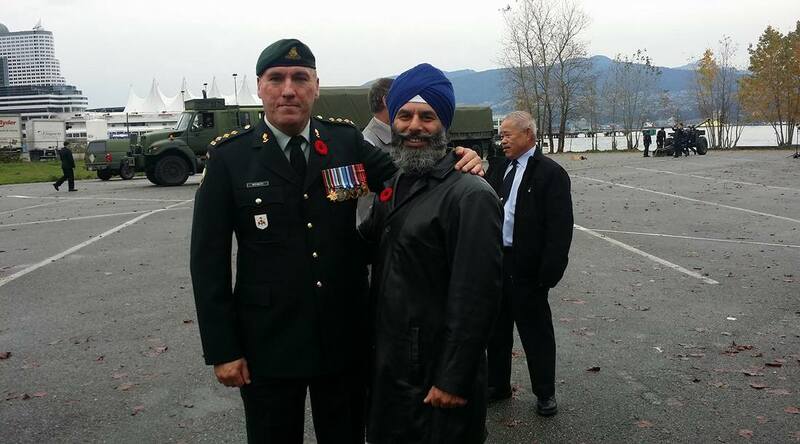 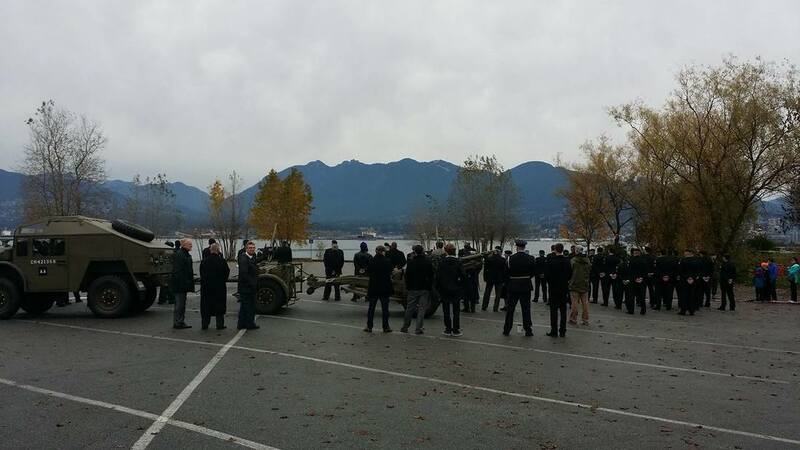 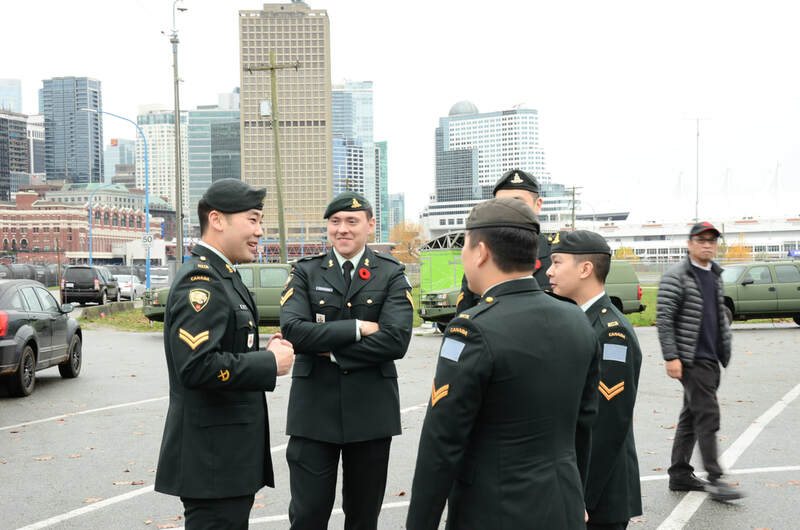 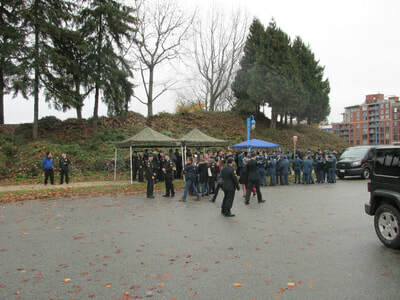 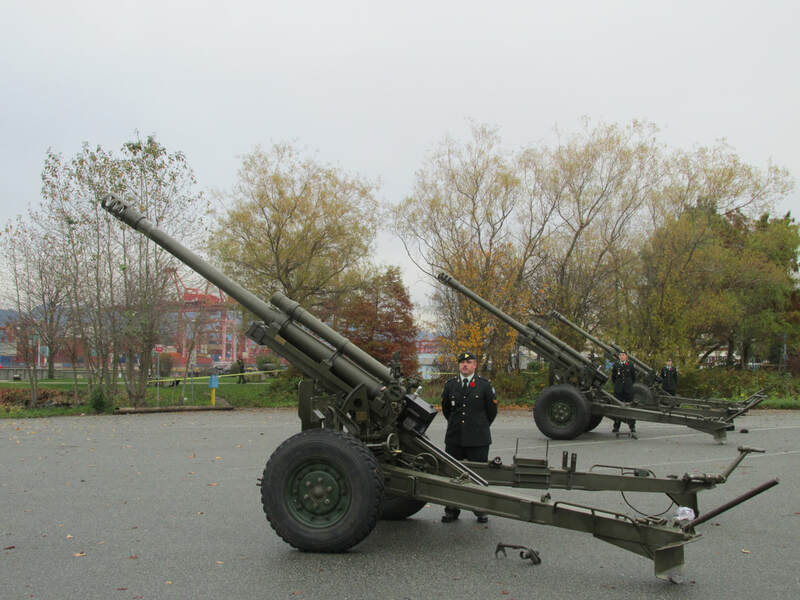 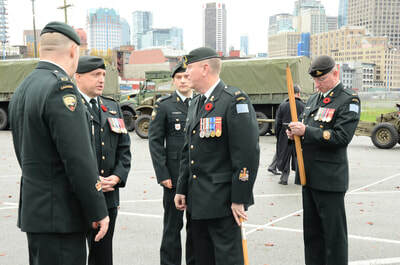 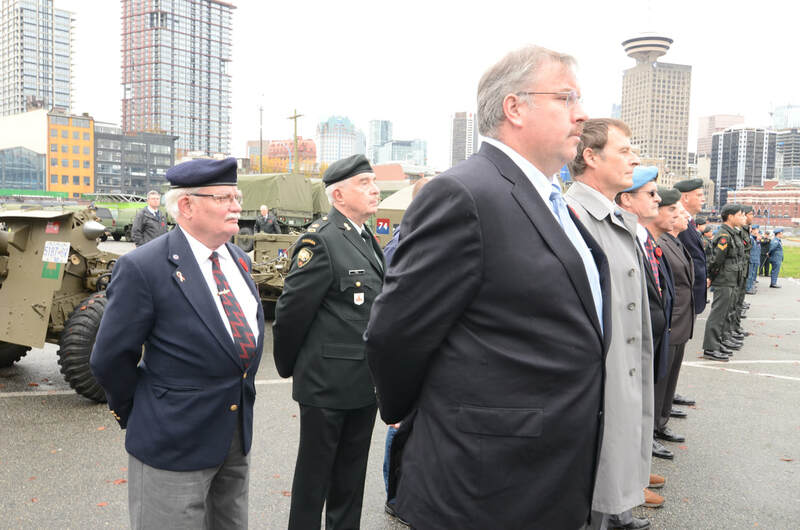 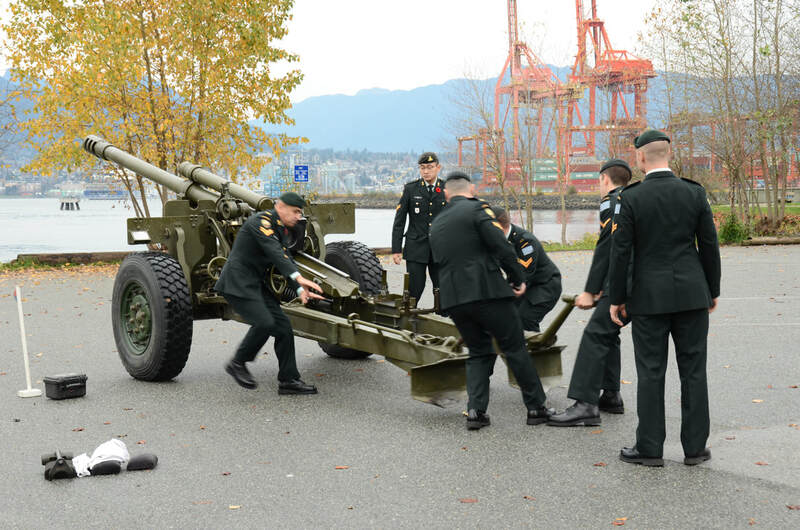 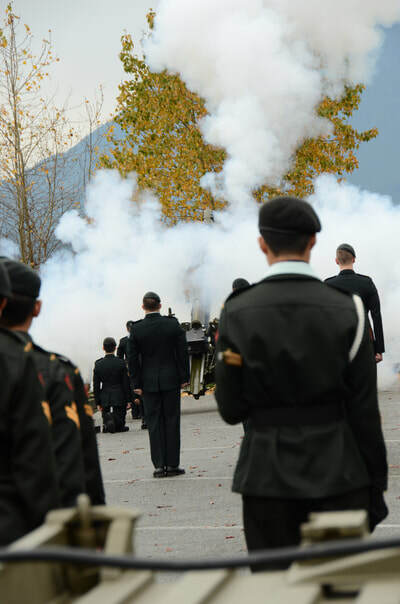 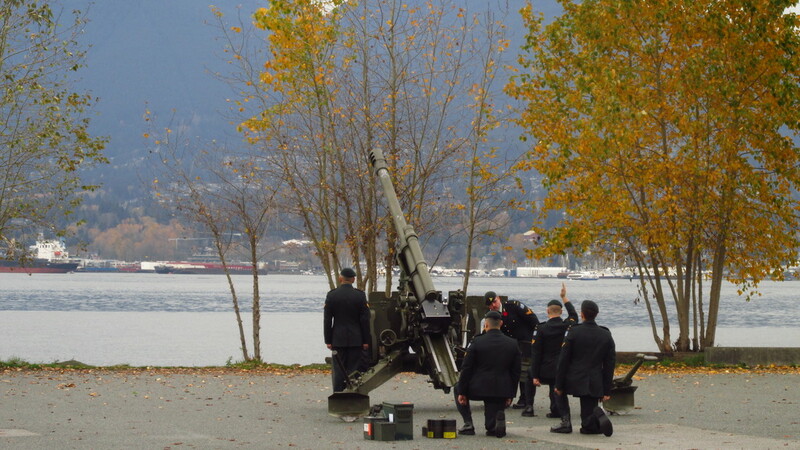 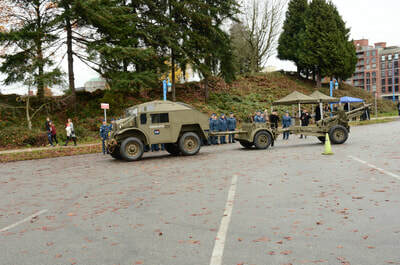 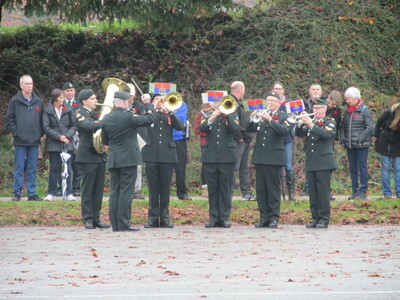 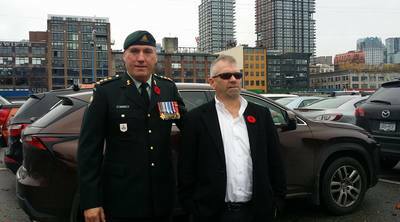 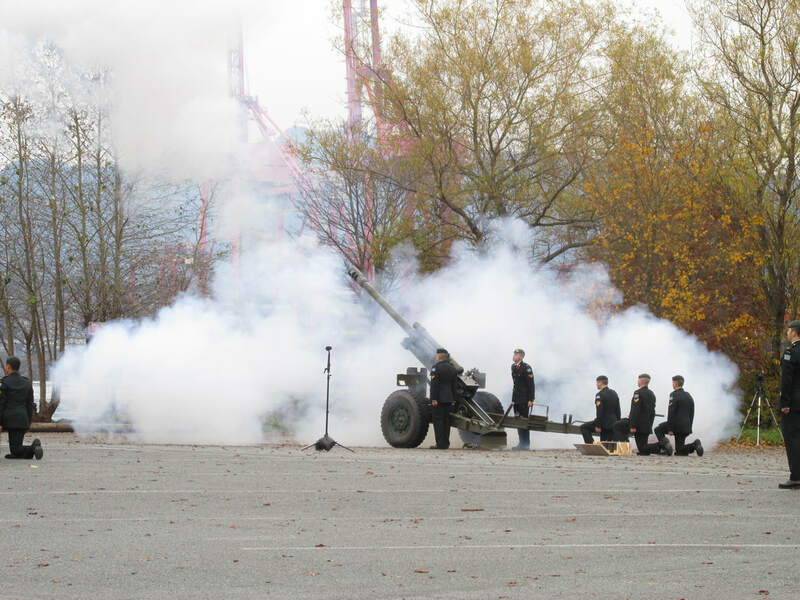 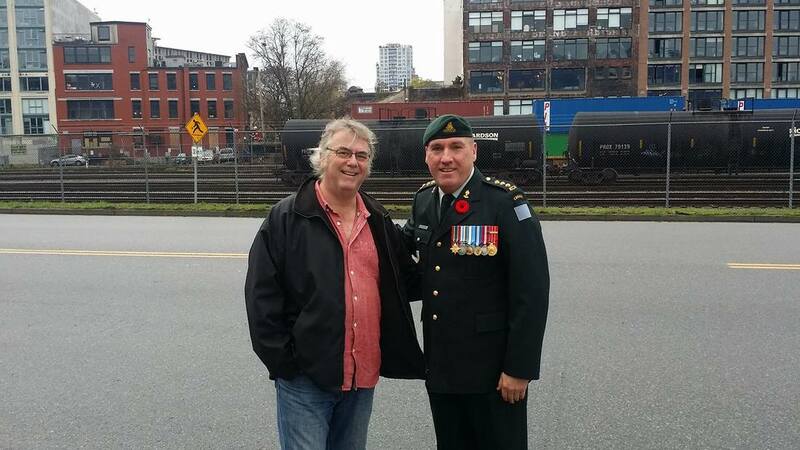 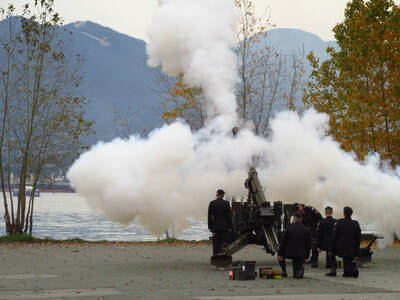 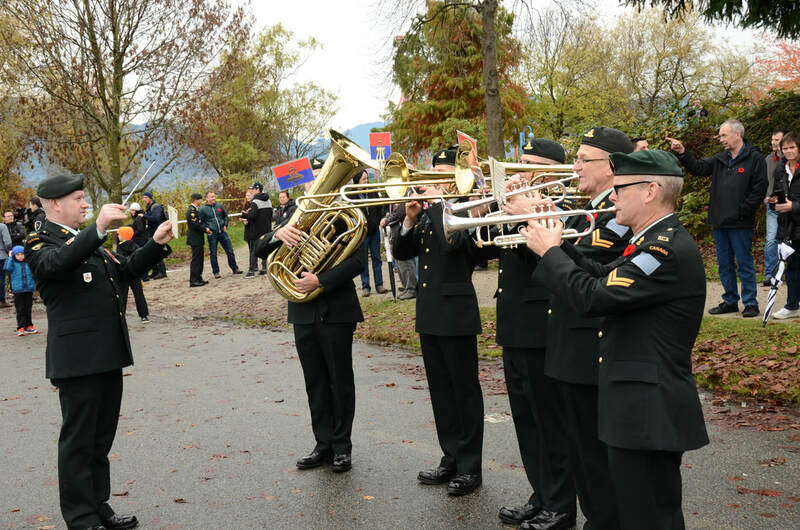 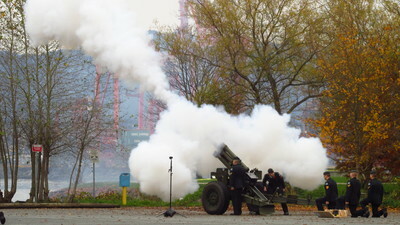 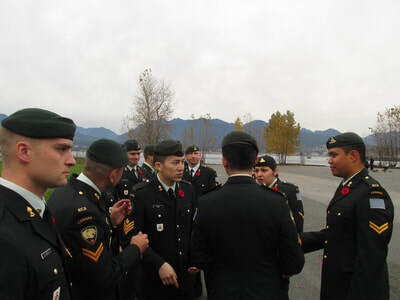 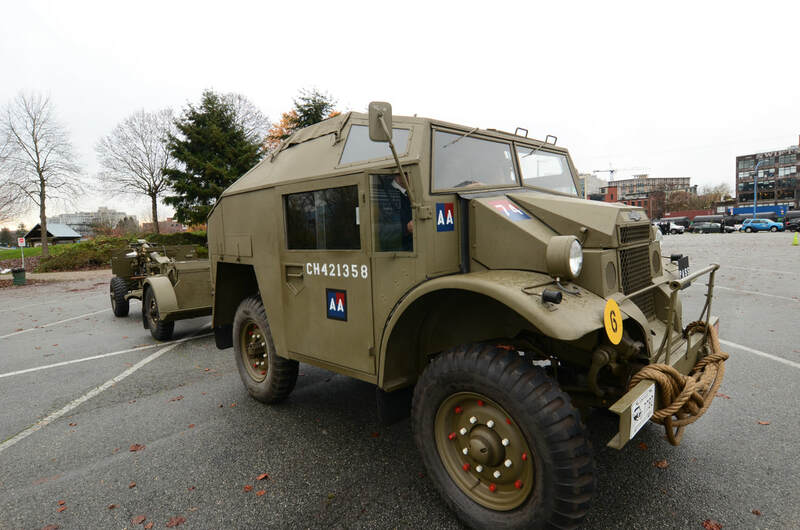 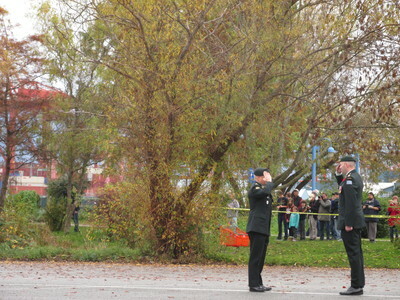 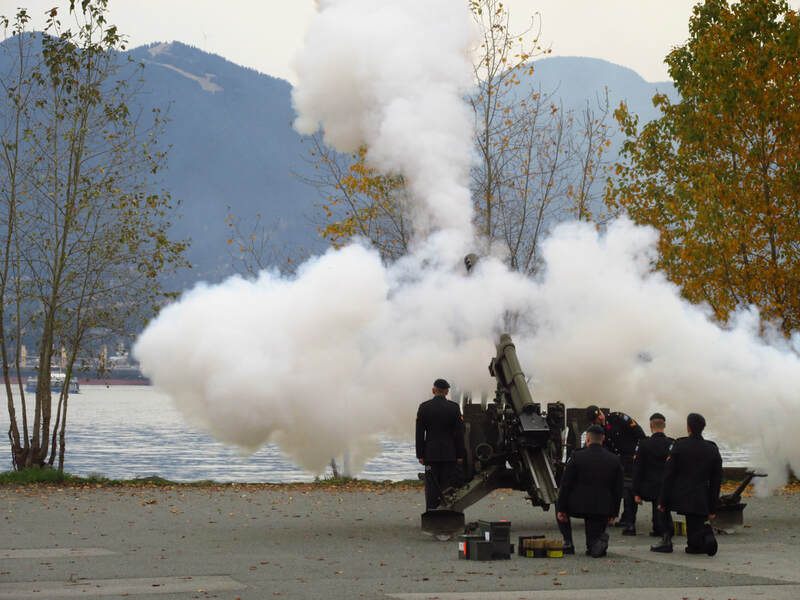 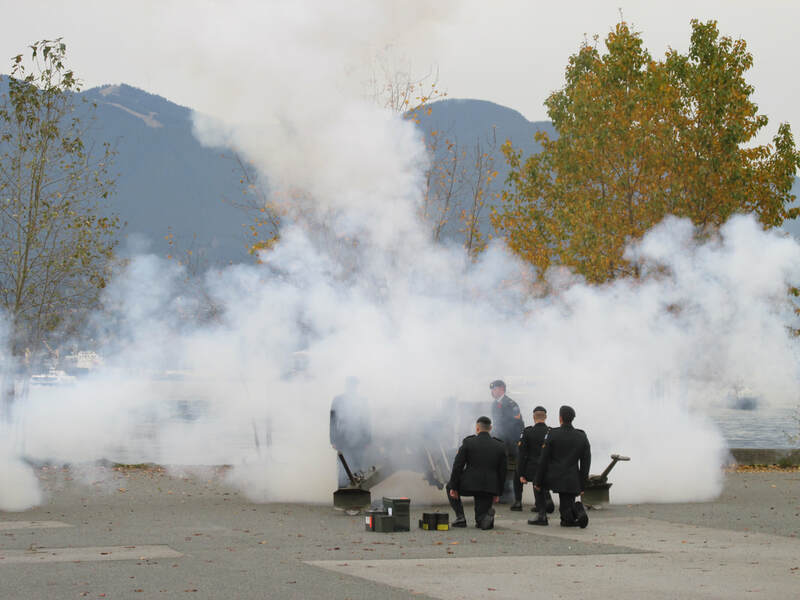 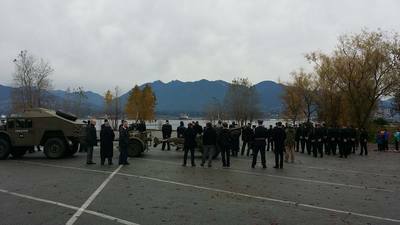 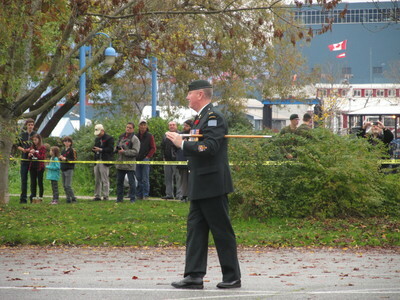 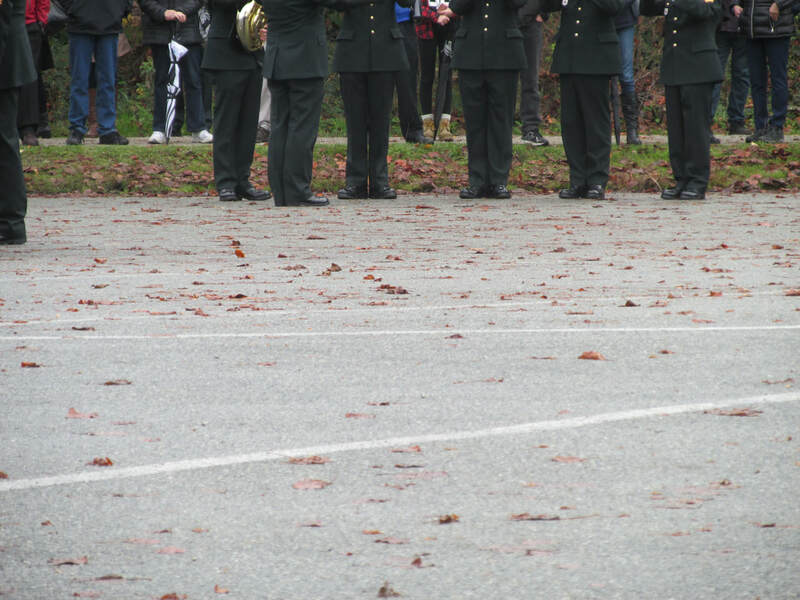 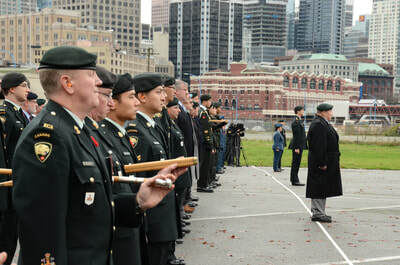 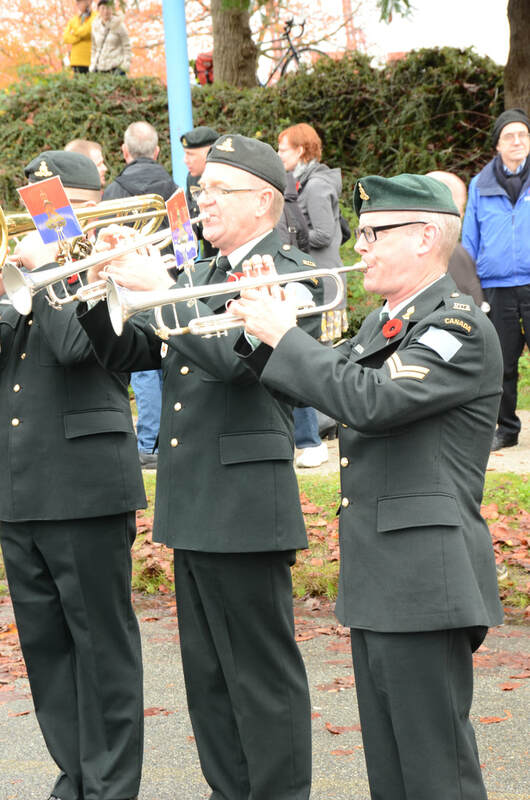 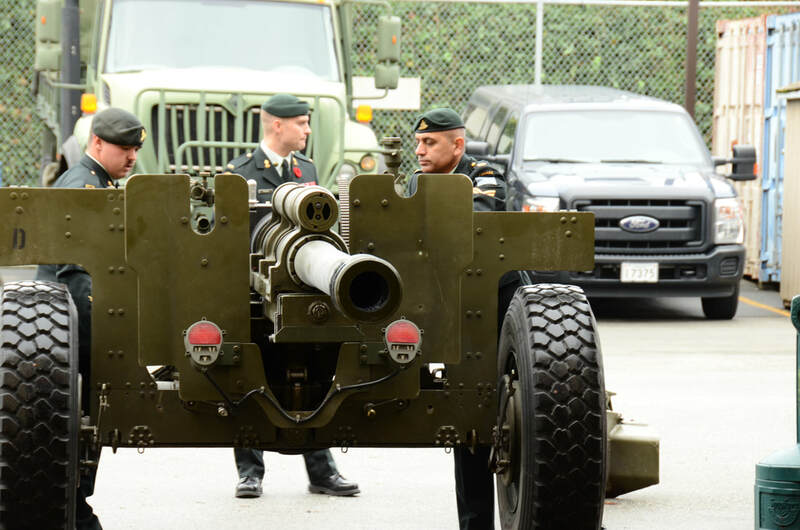 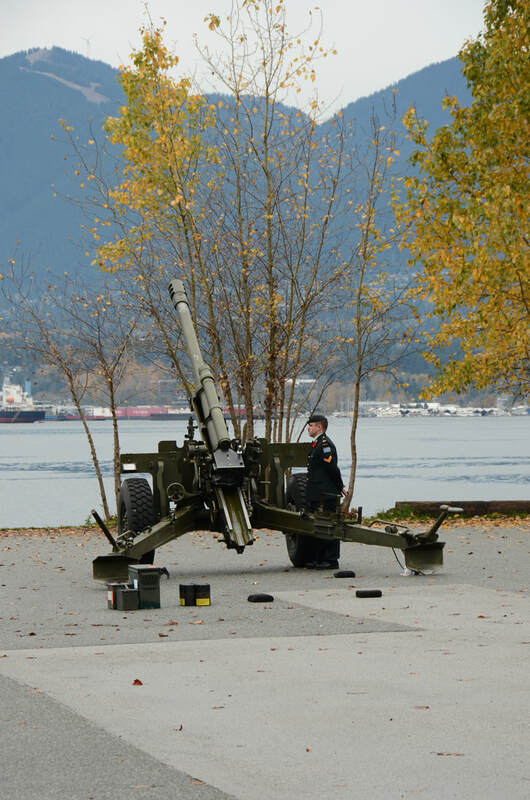 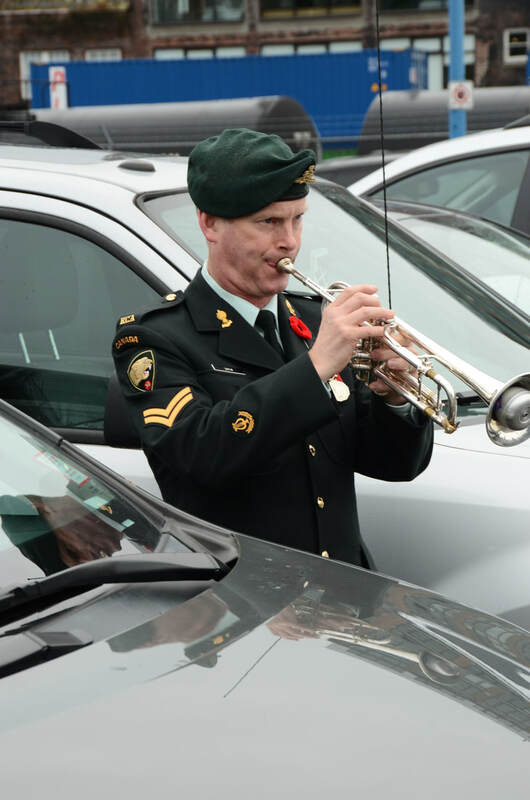 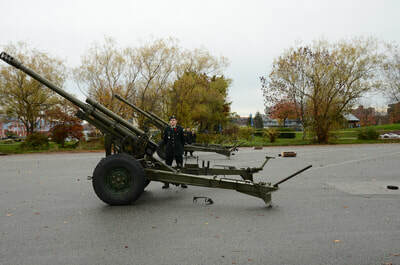 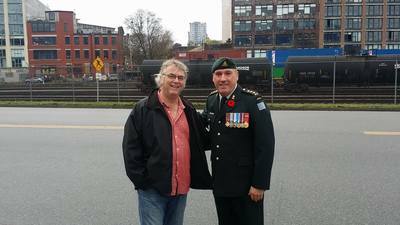 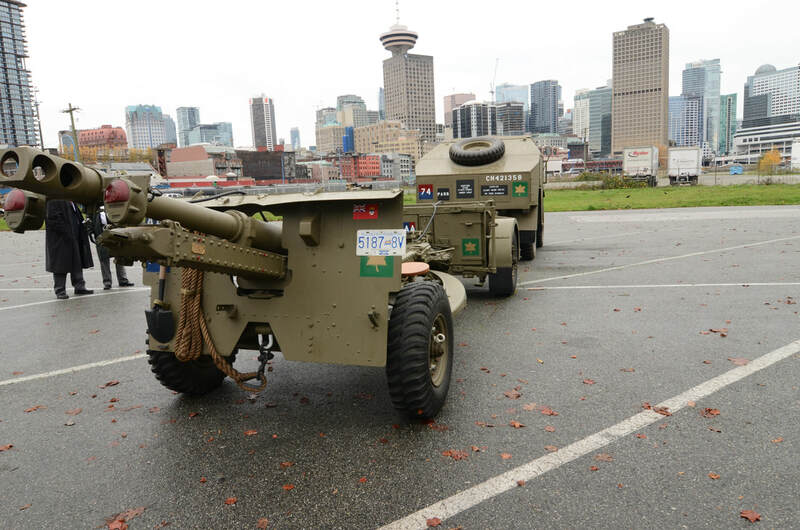 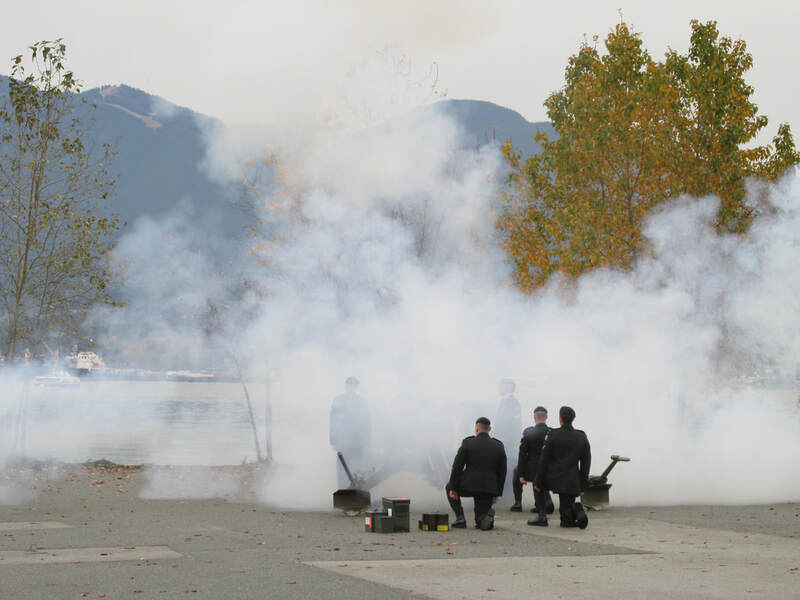 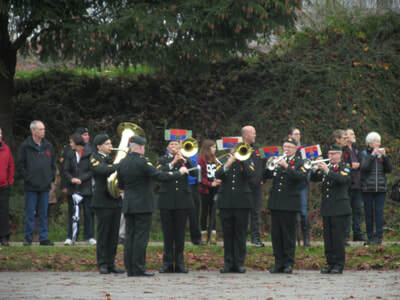 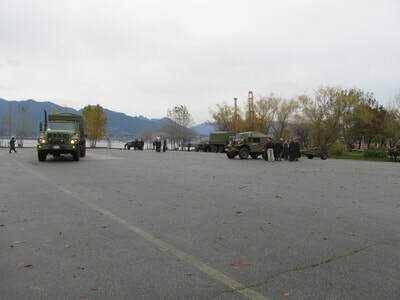 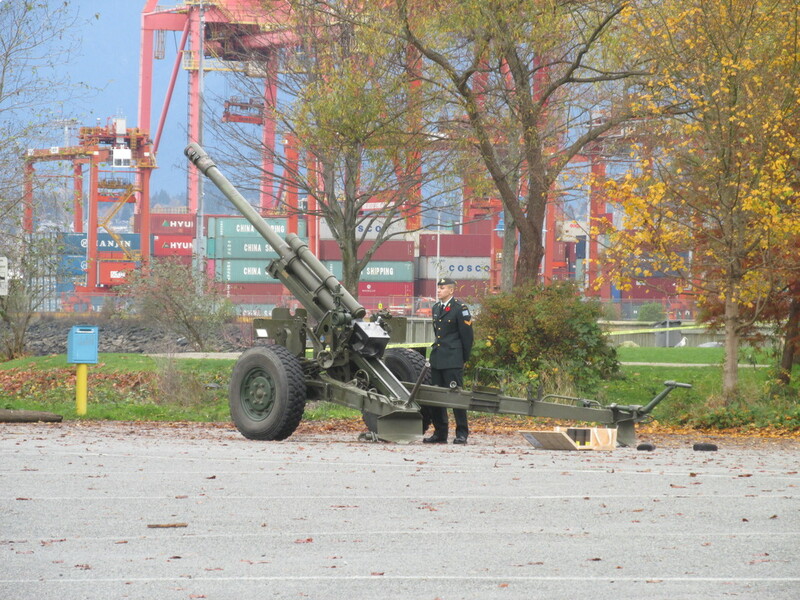 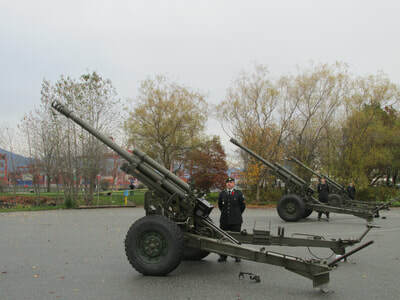 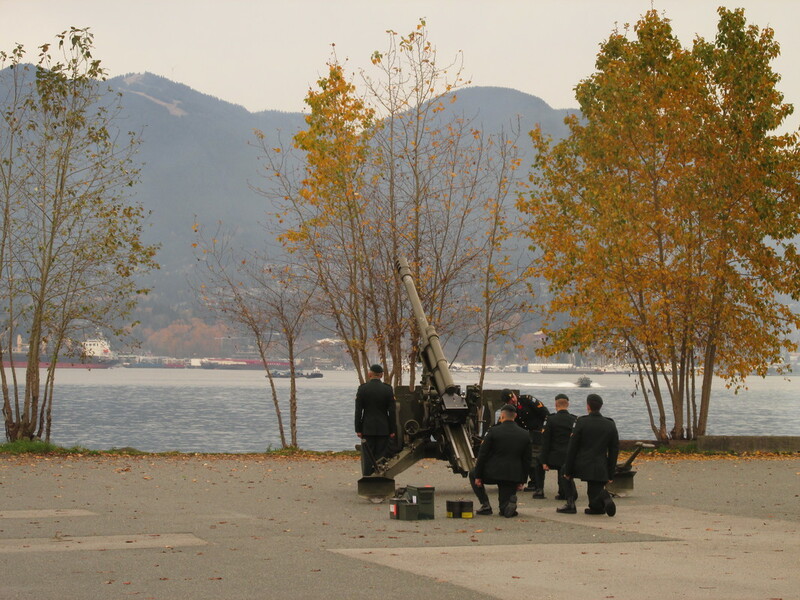 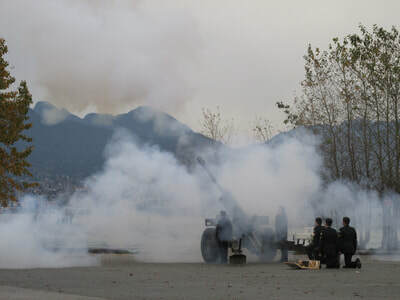 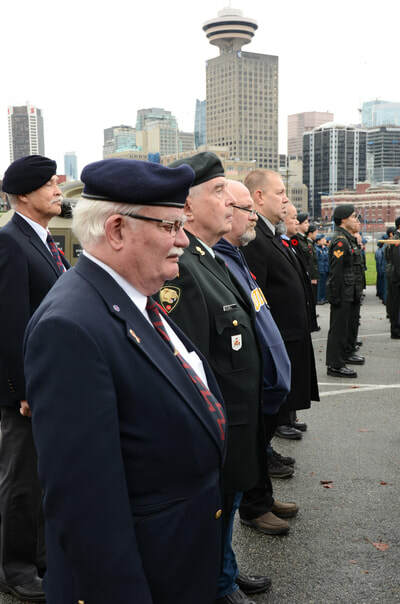 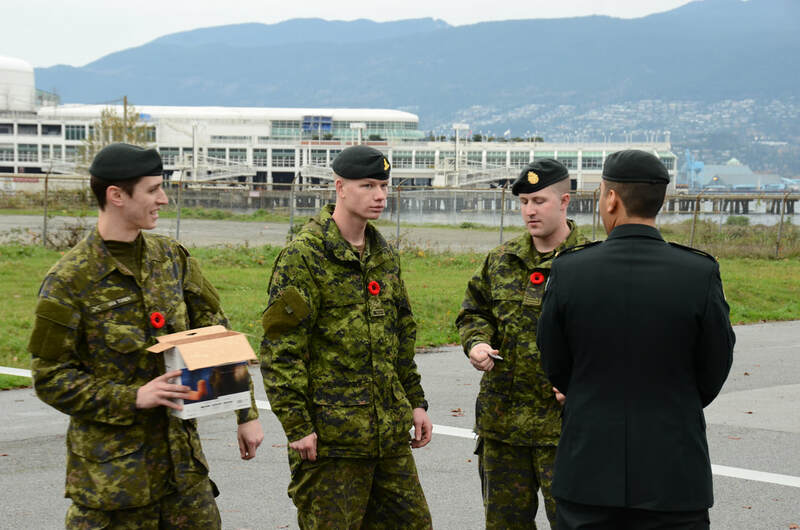 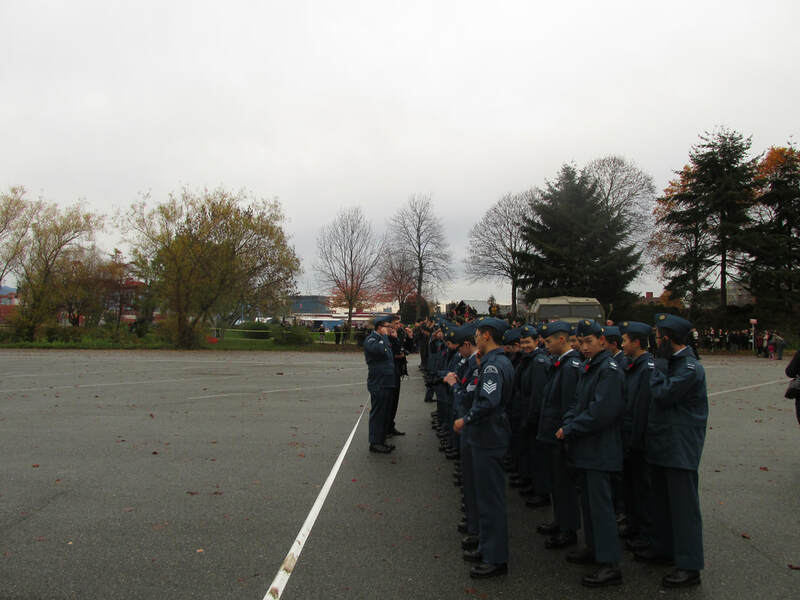 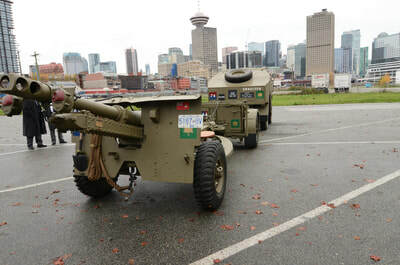 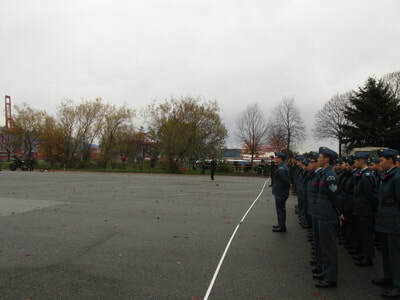 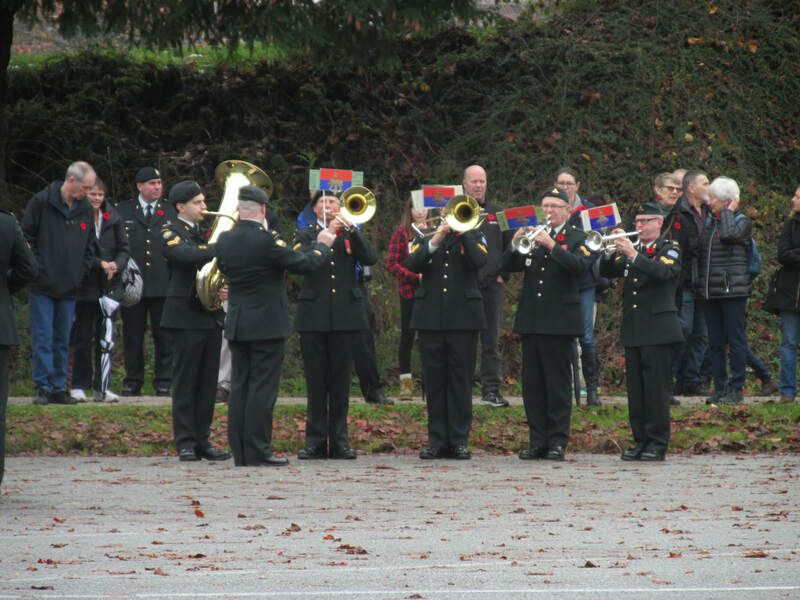 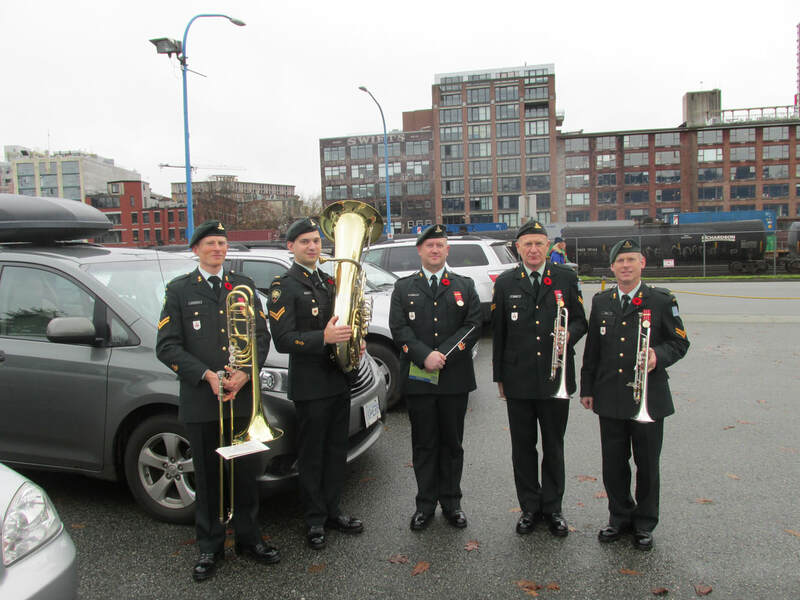 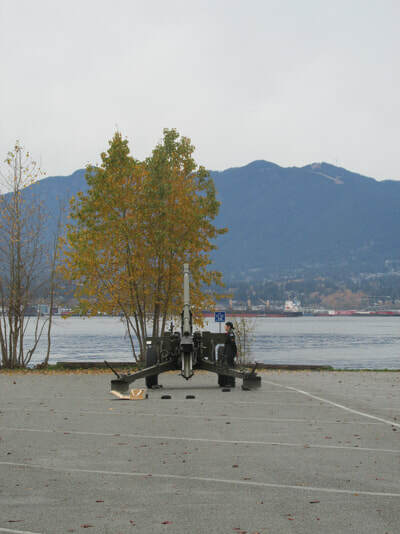 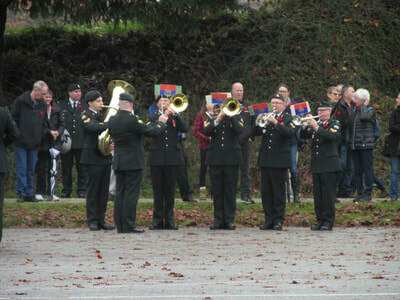 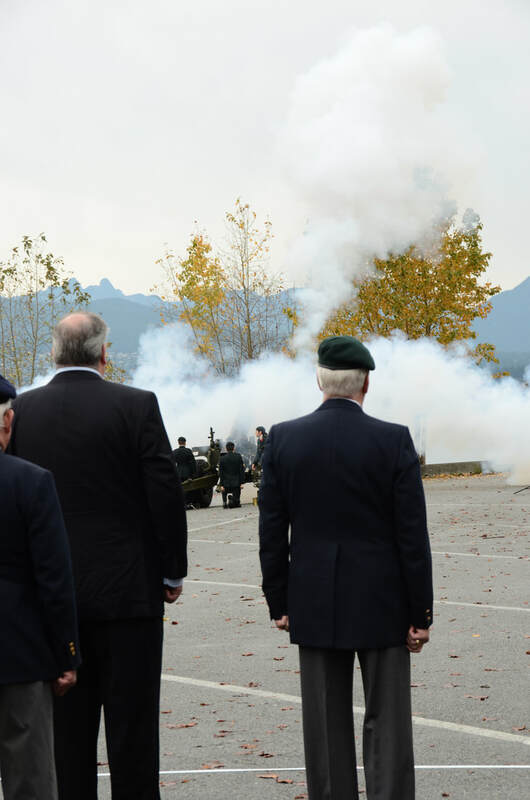 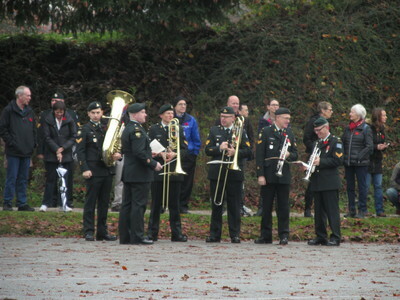 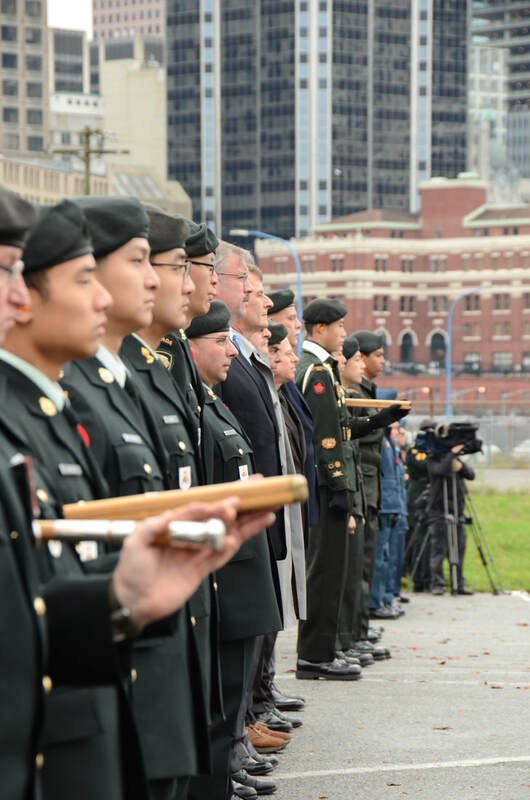 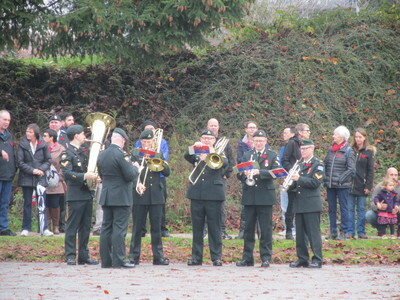 The Remembrance Day salute is also a great time for the old soldiers to gather and share memories. 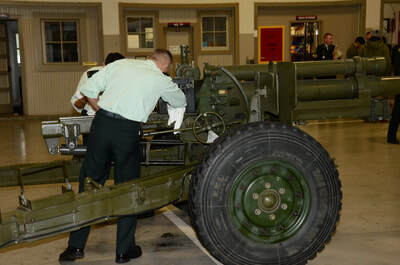 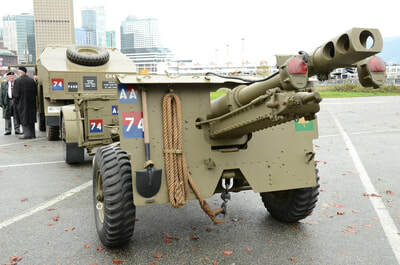 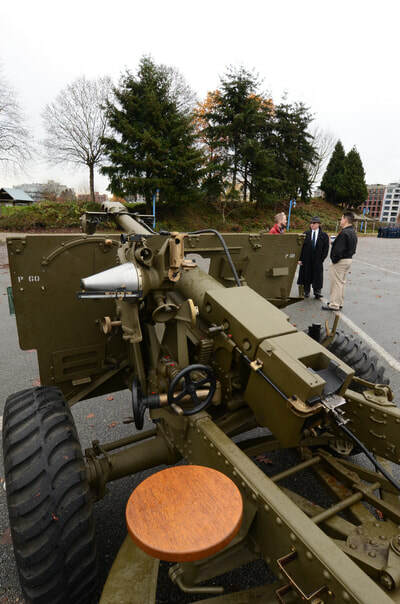 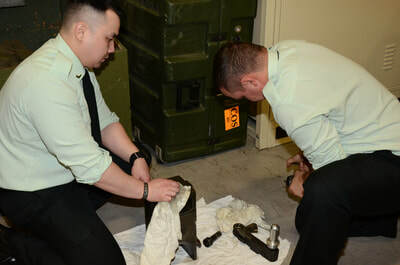 Many of our World War Two veterans have passed away, replaced by younger veterans who have served the guns. 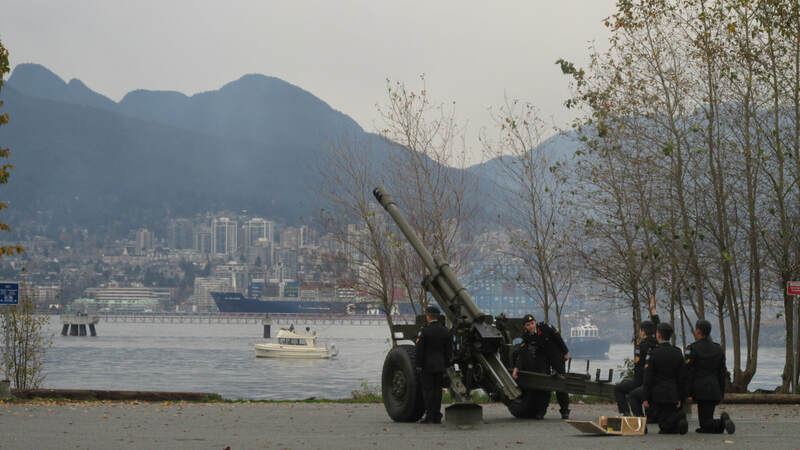 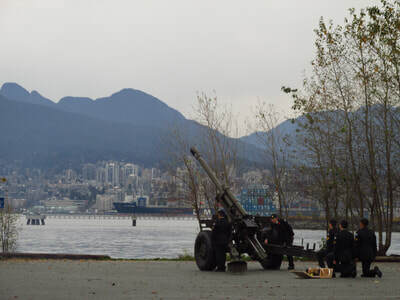 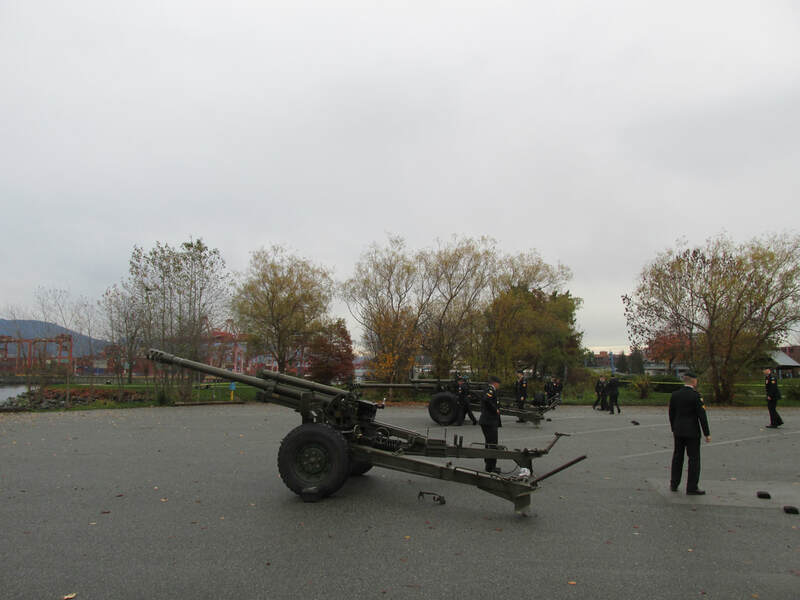 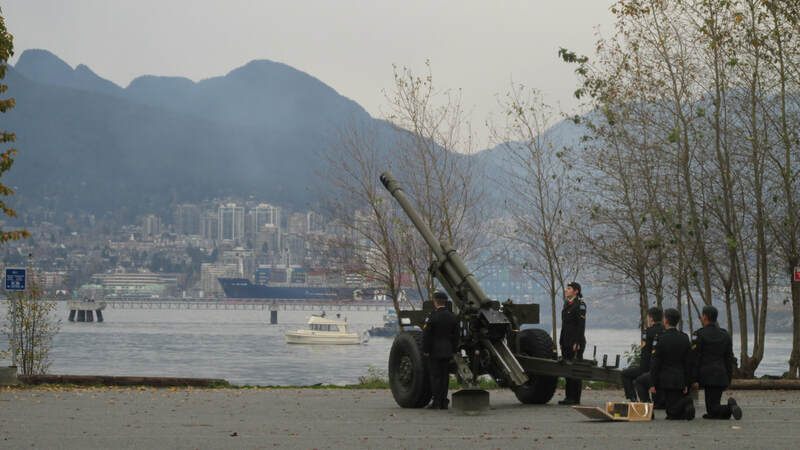 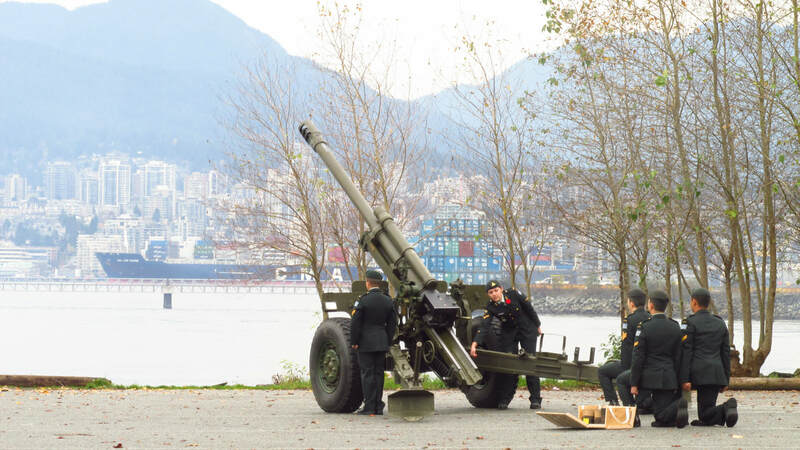 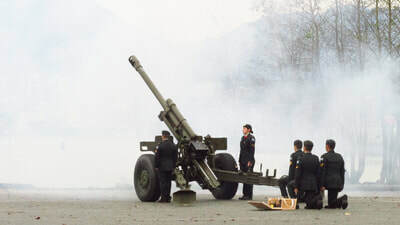 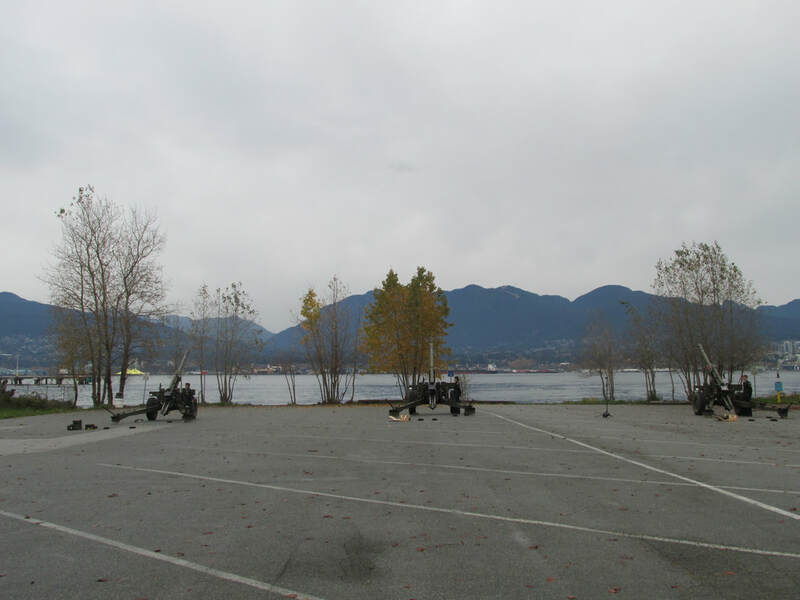 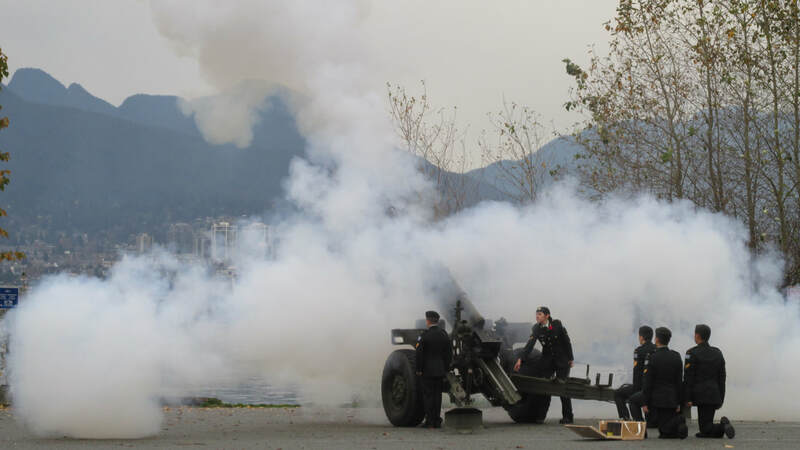 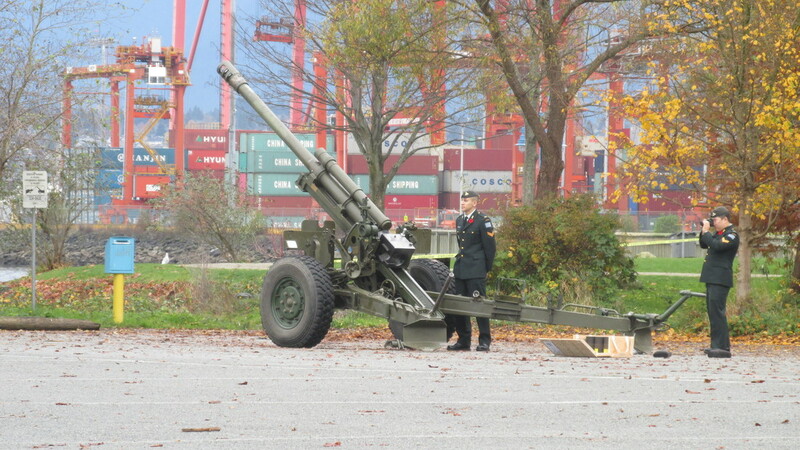 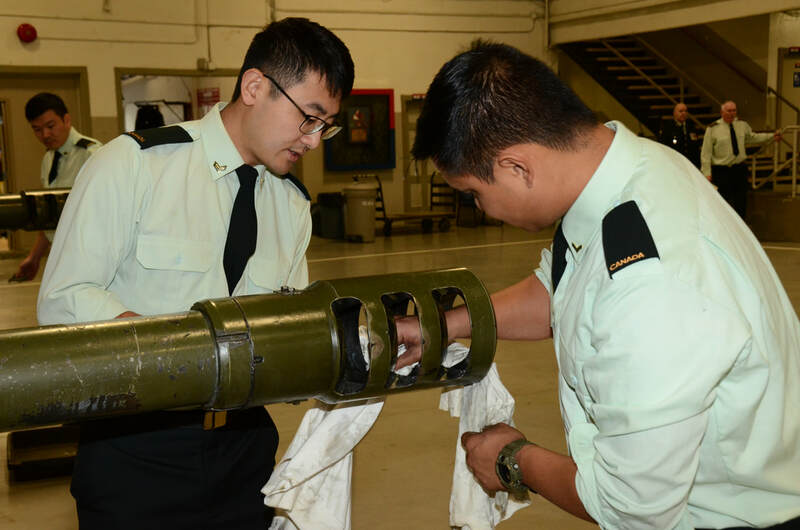 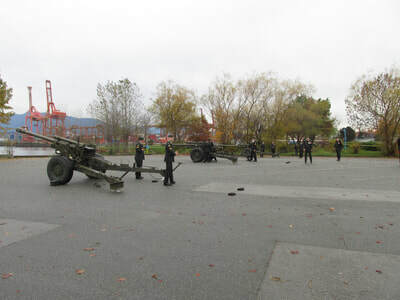 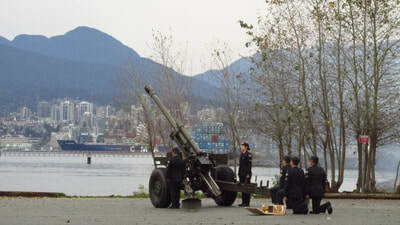 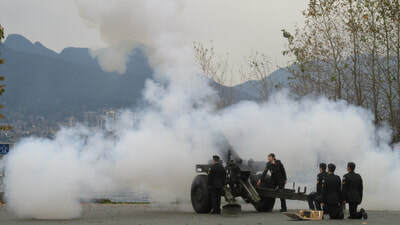 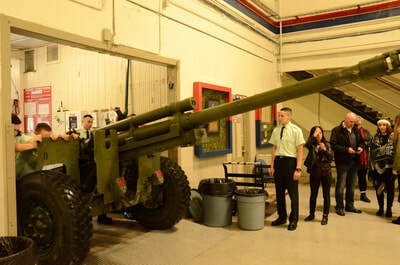 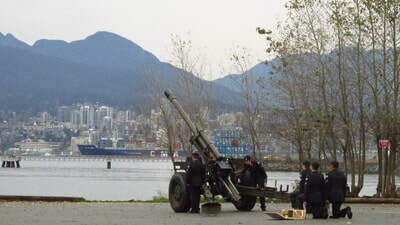 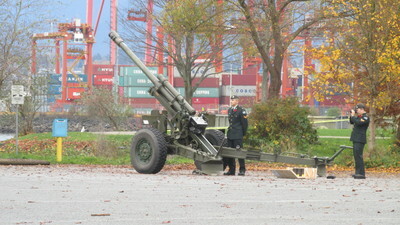 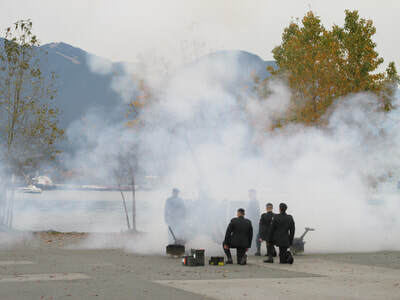 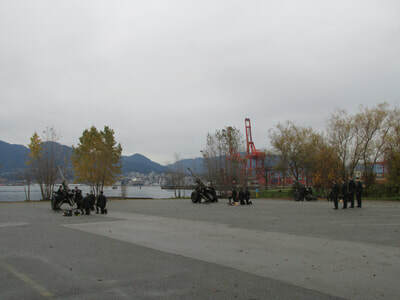 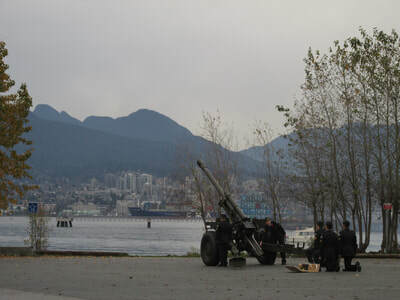 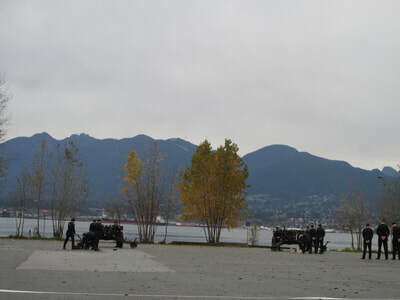 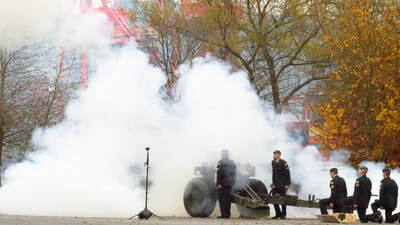 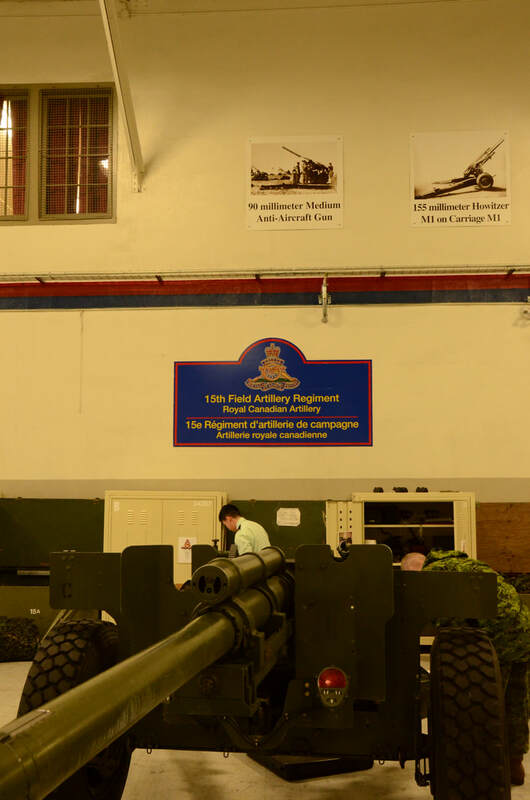 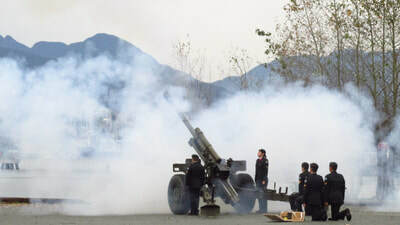 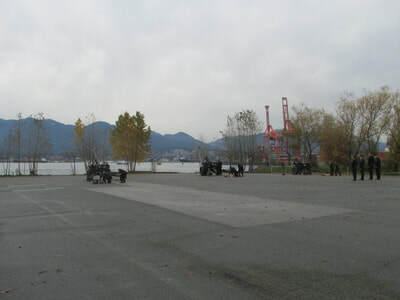 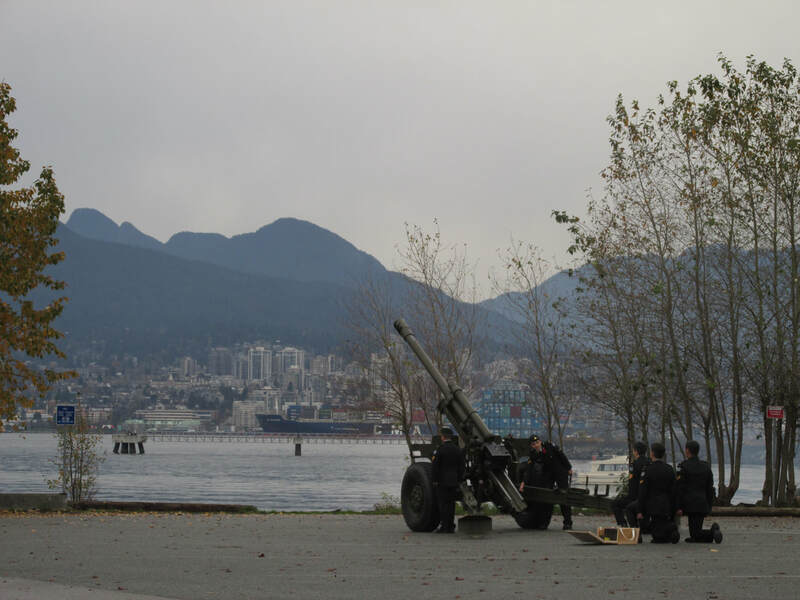 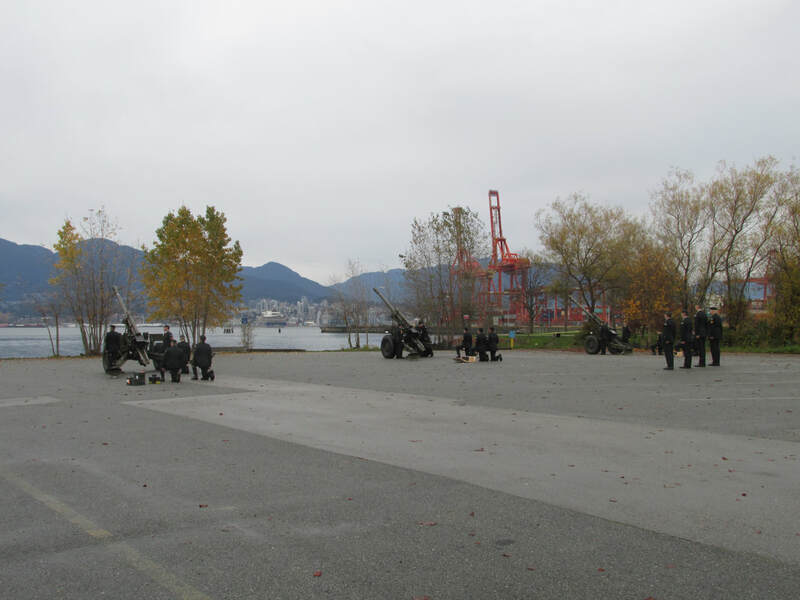 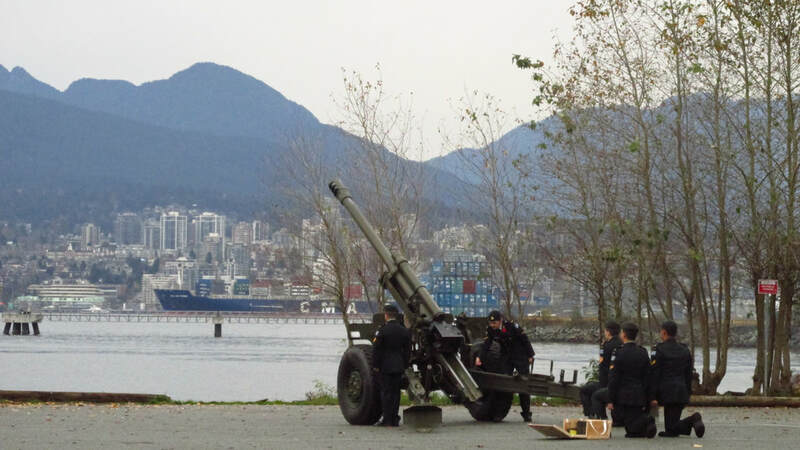 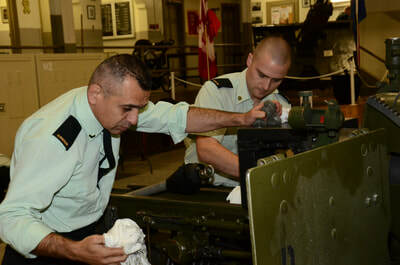 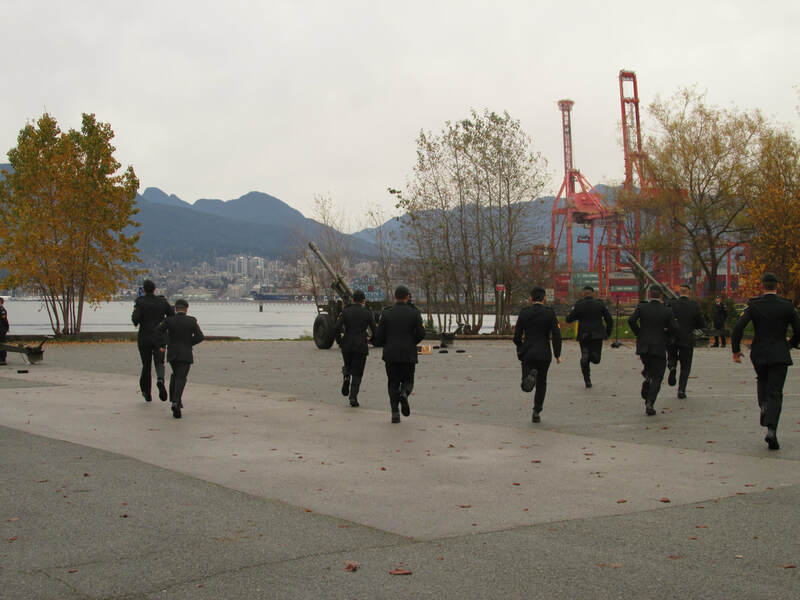 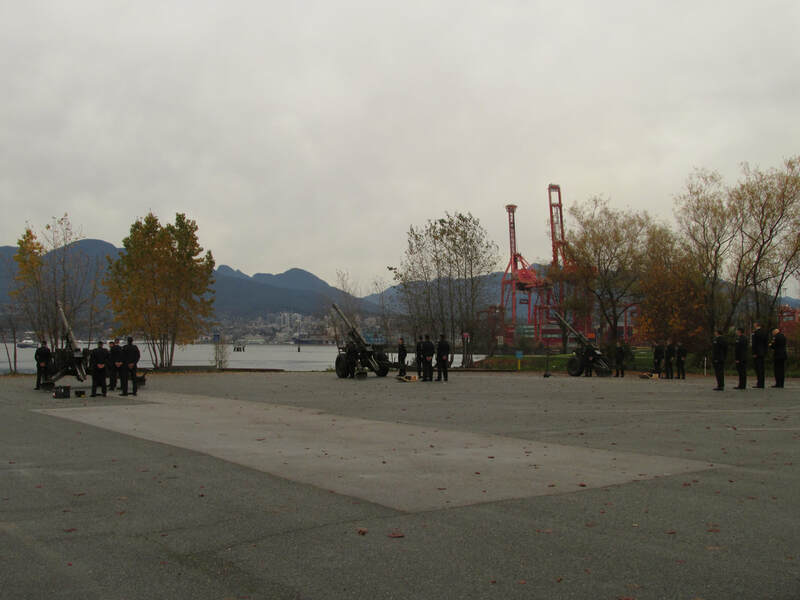 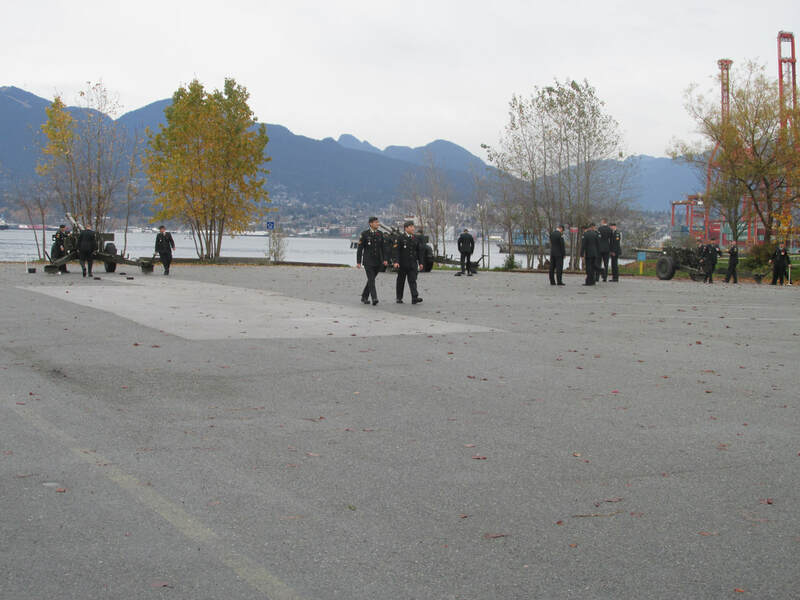 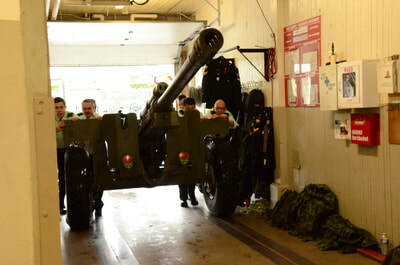 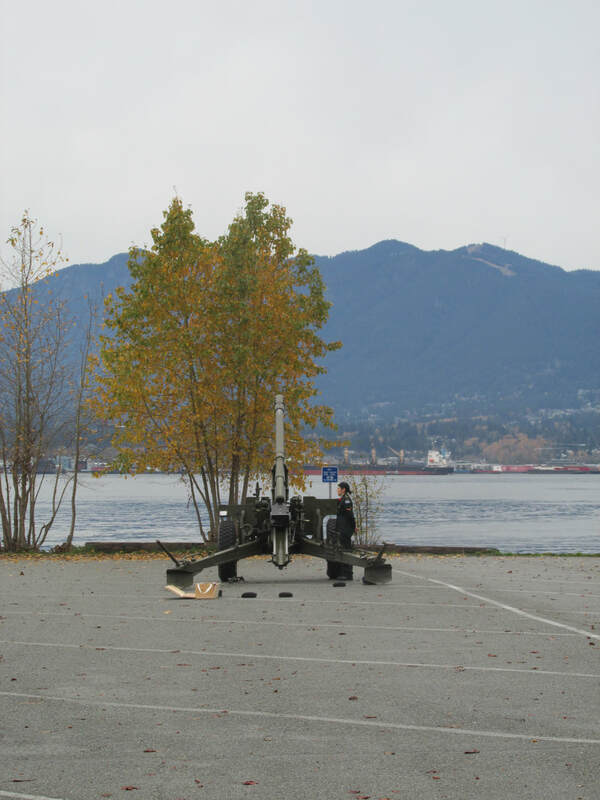 For the first time, to my knowledge, we had the former members on parade to the rear of the guns. 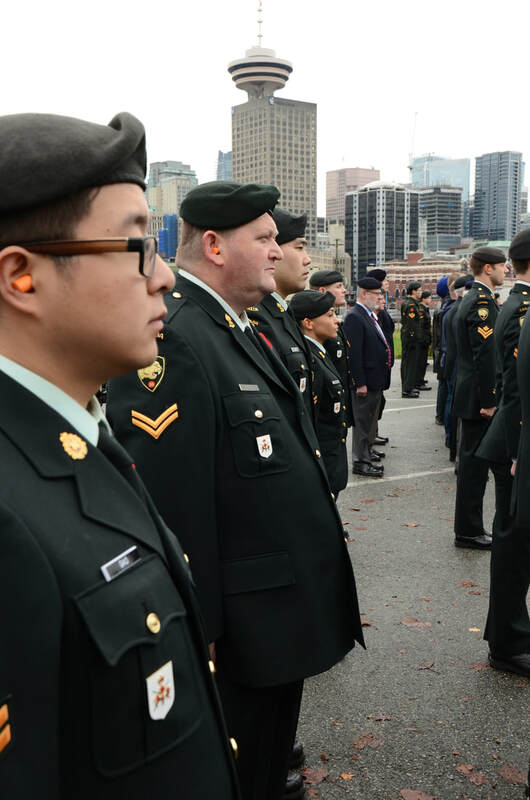 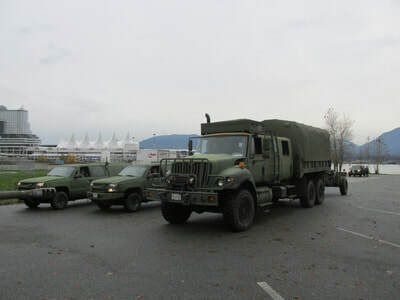 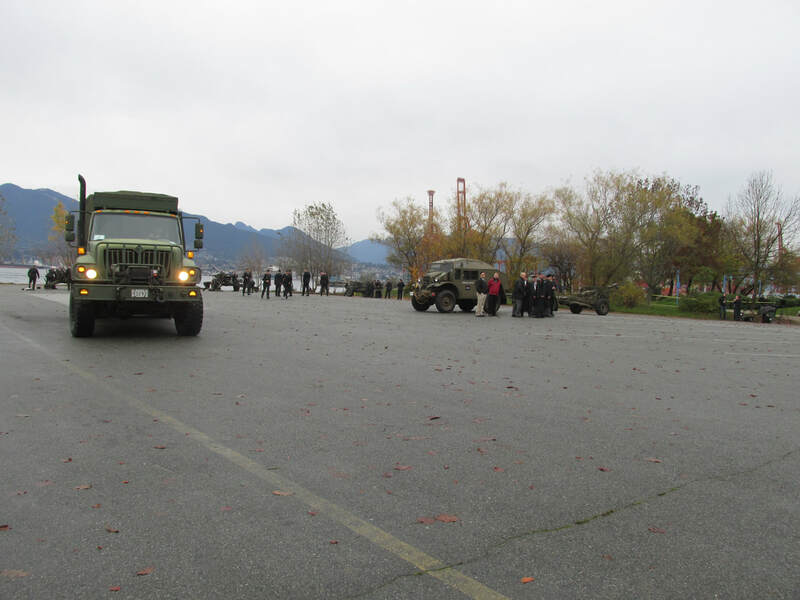 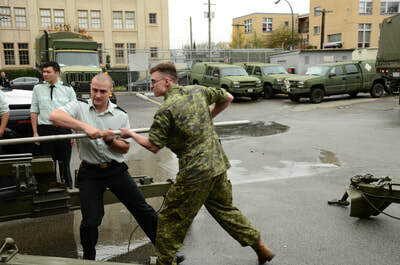 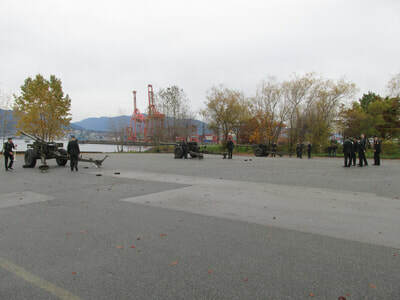 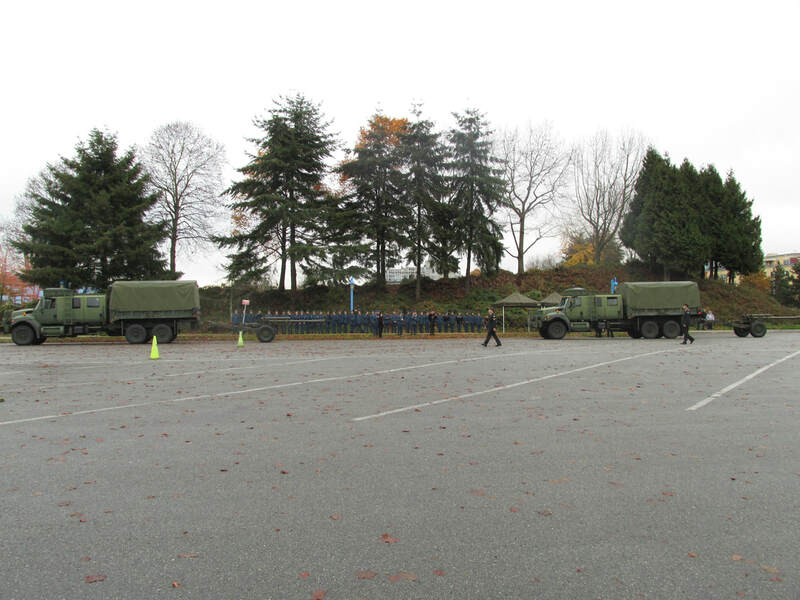 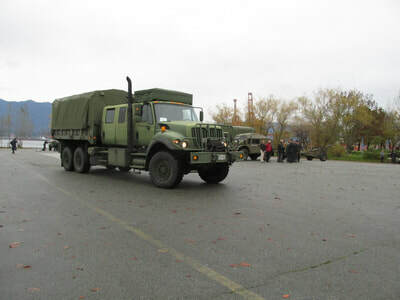 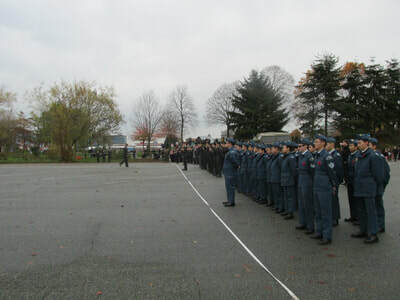 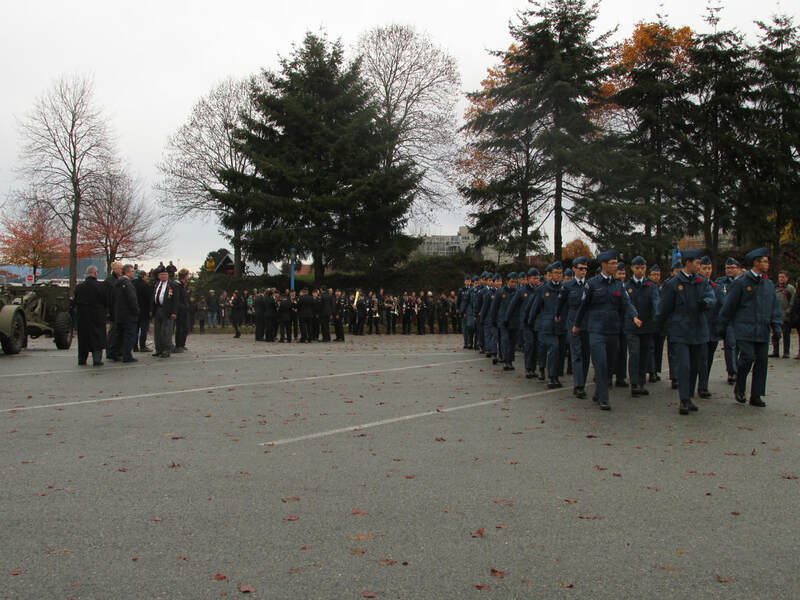 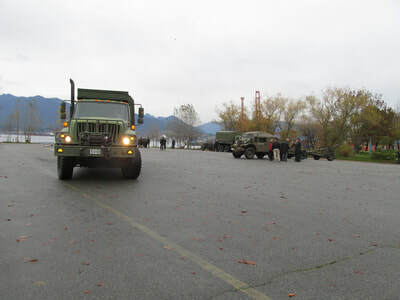 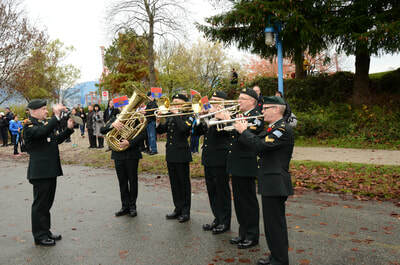 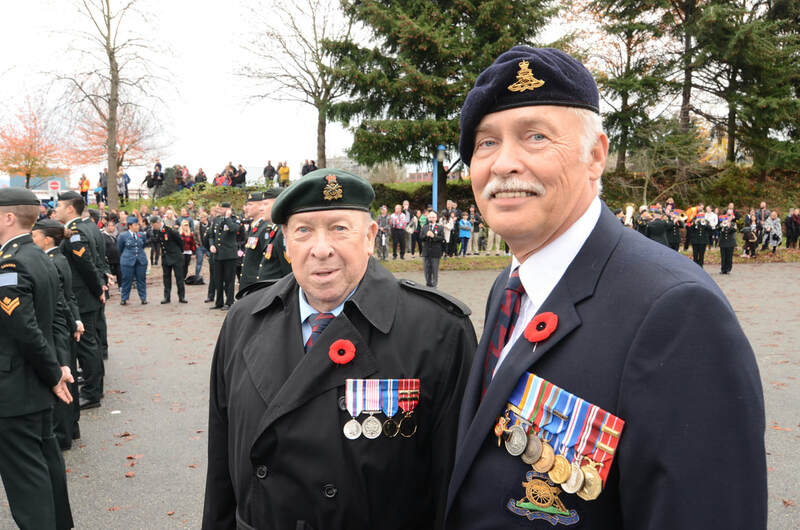 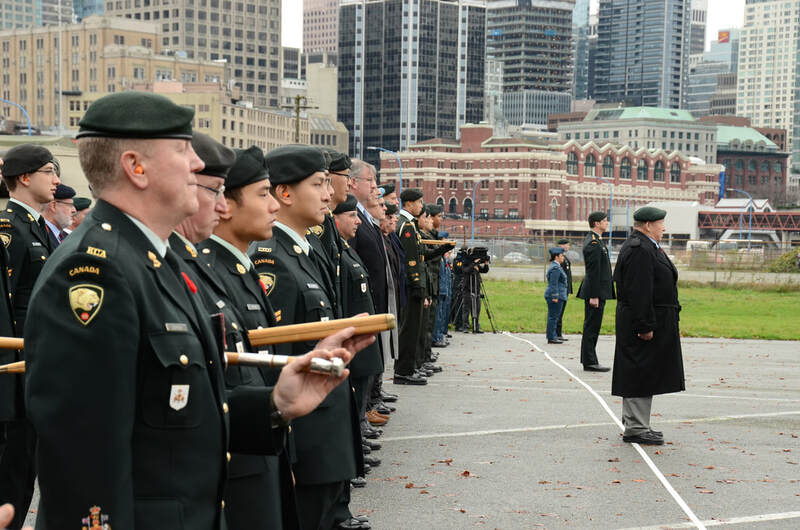 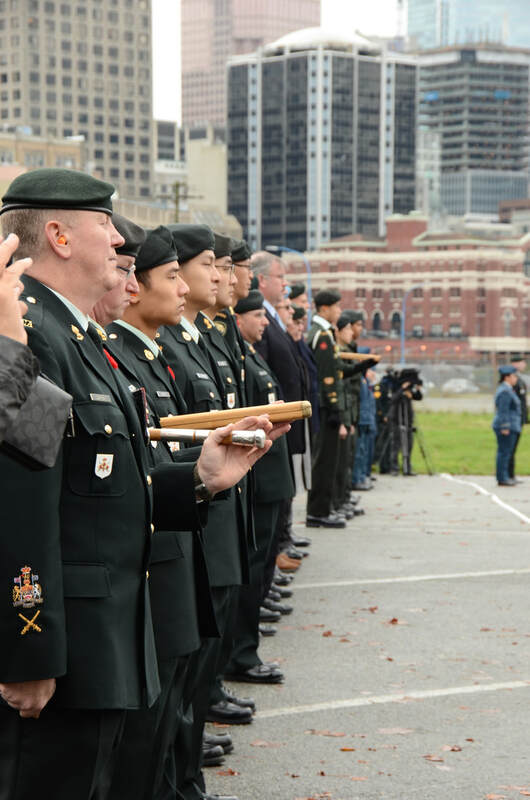 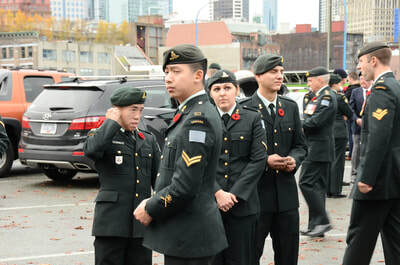 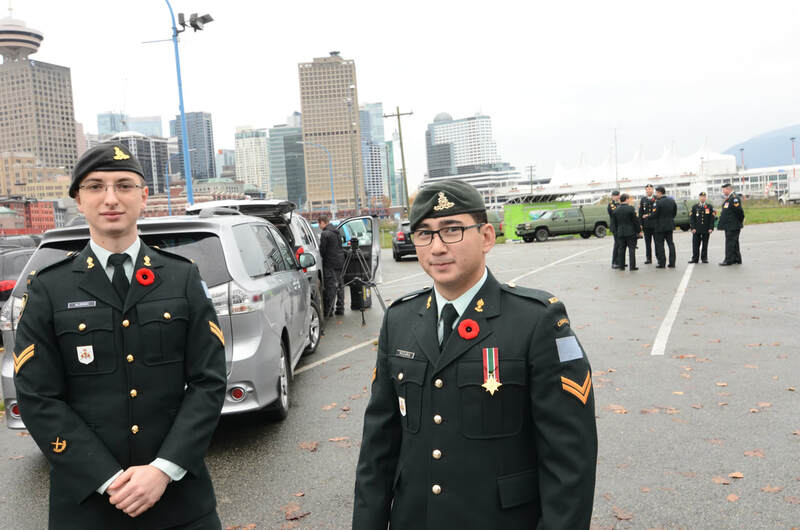 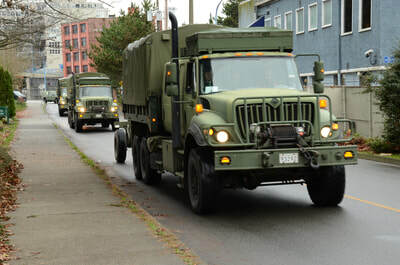 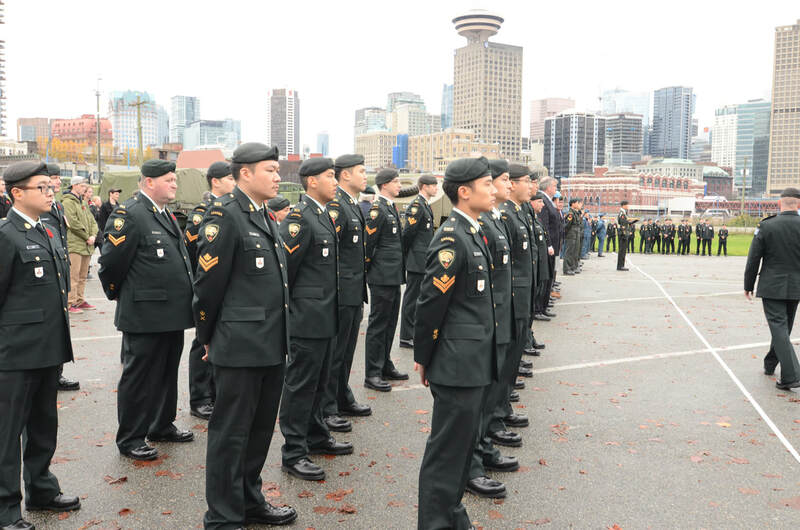 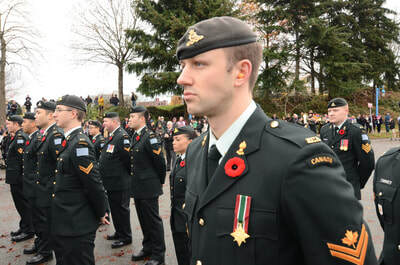 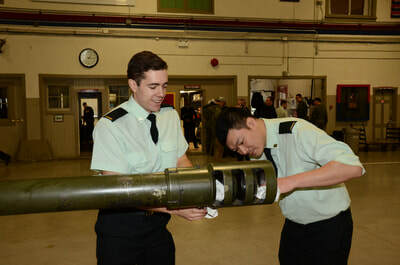 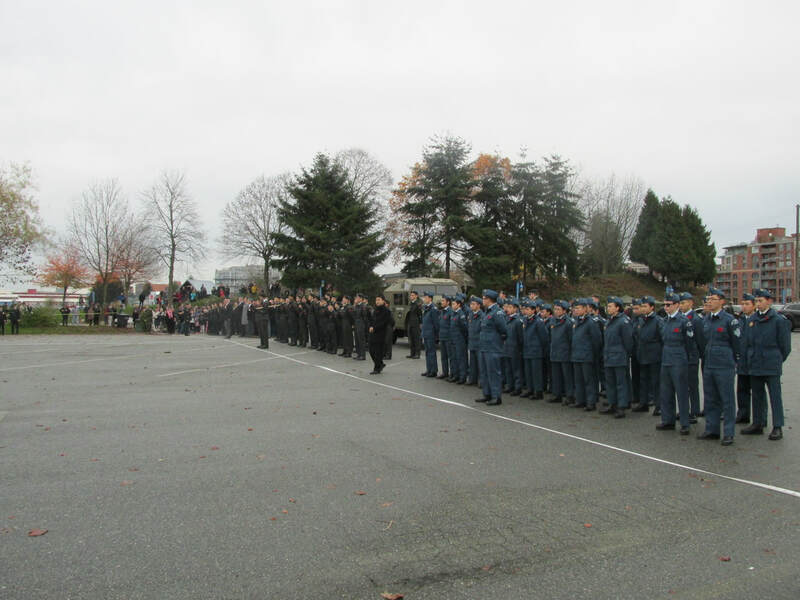 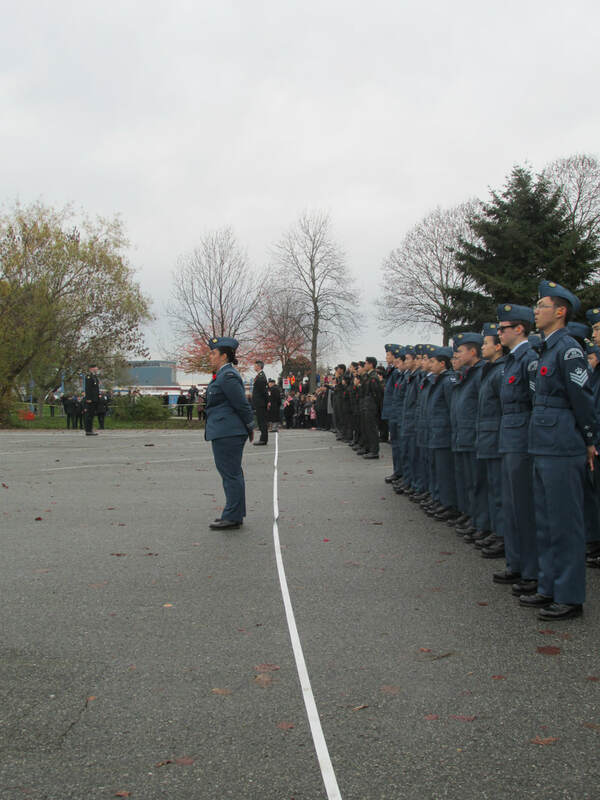 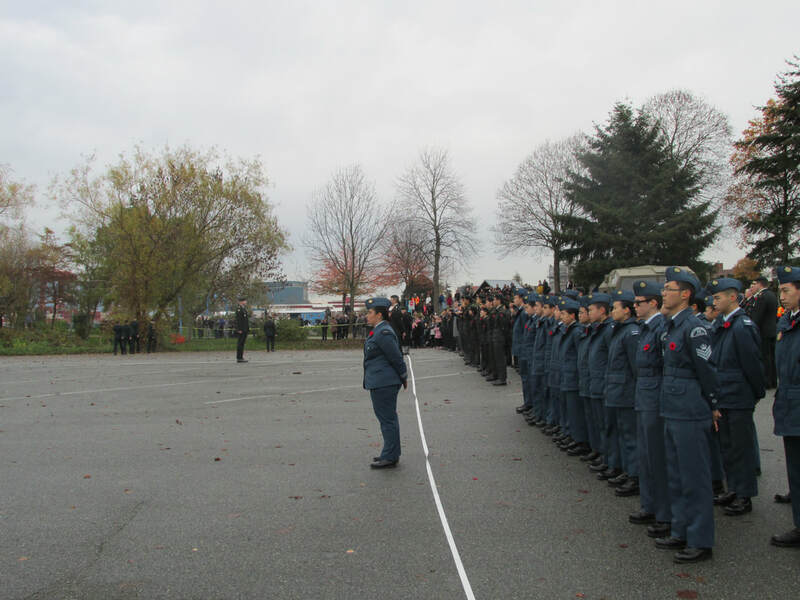 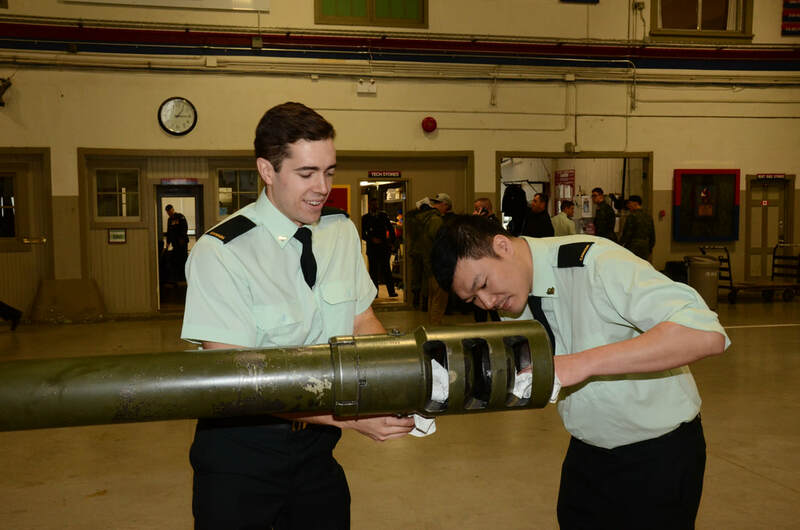 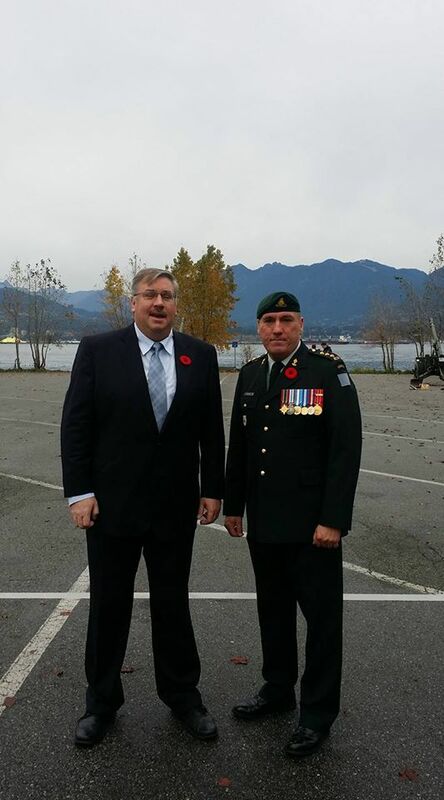 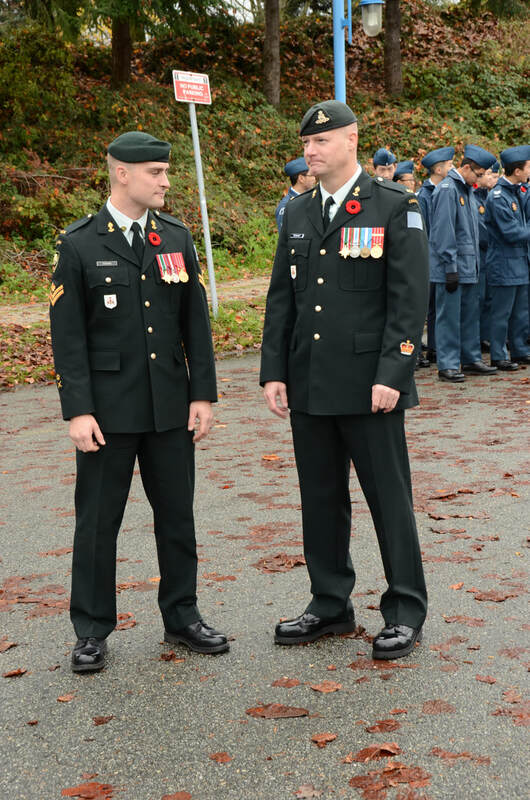 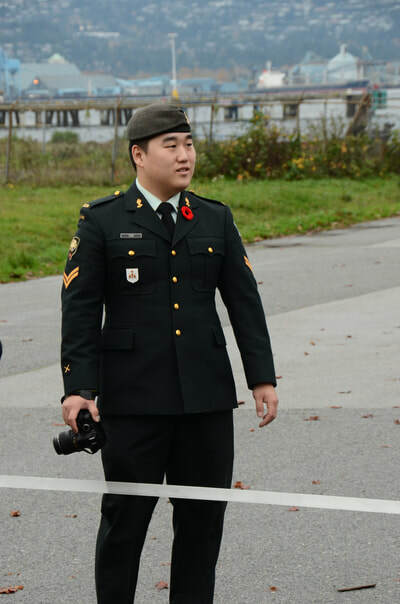 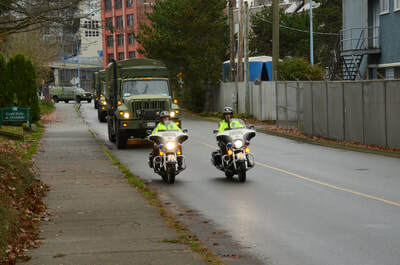 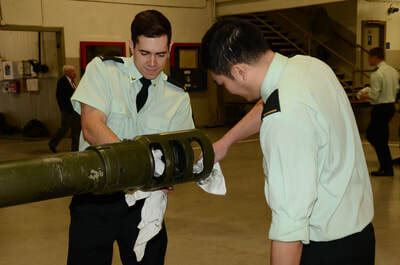 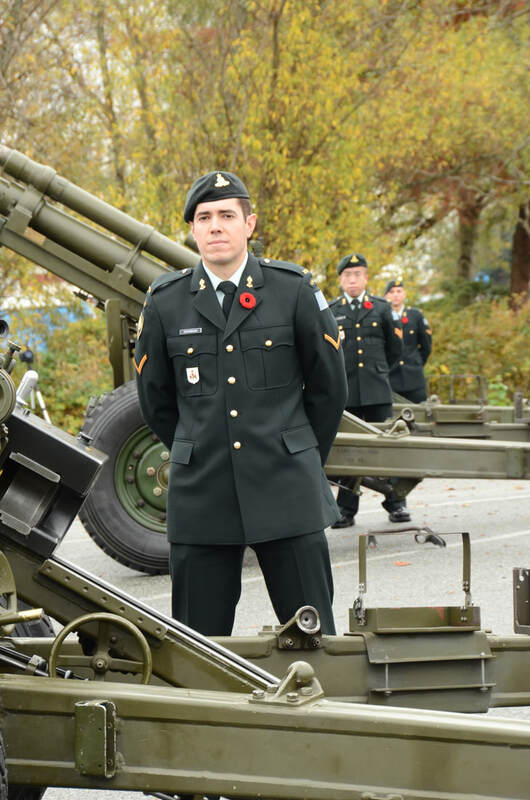 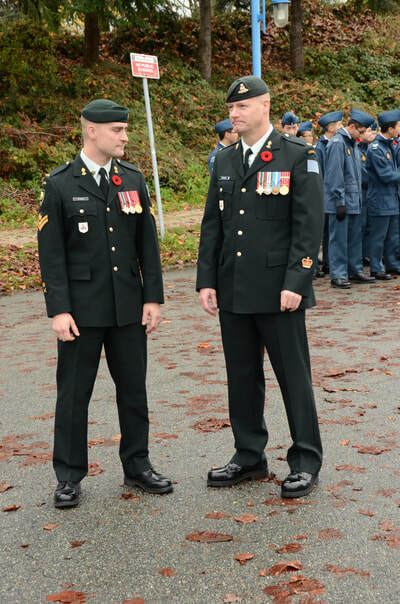 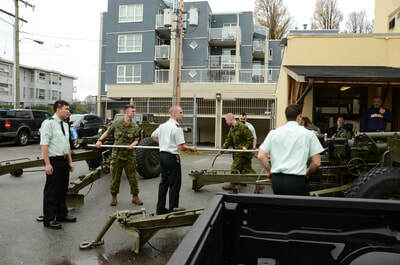 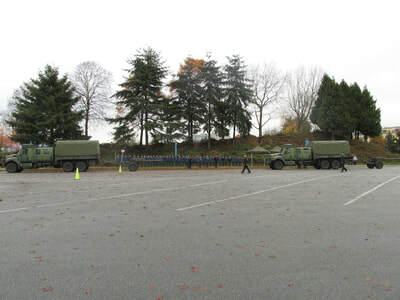 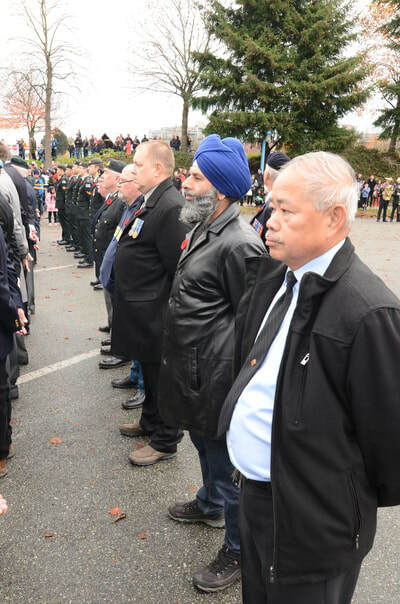 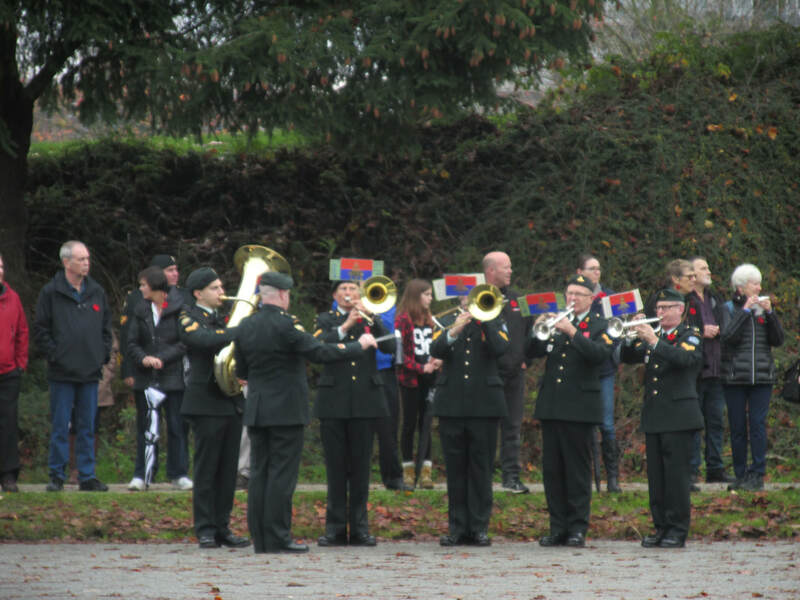 Led by the earliest Commanding Officer in attendance, Brigadier-General Bill Wickett CD, and the earliest Regimental Sergeant-Major, Chief Warrant Officer Brian Cormier CD, we had eighteen on parade. 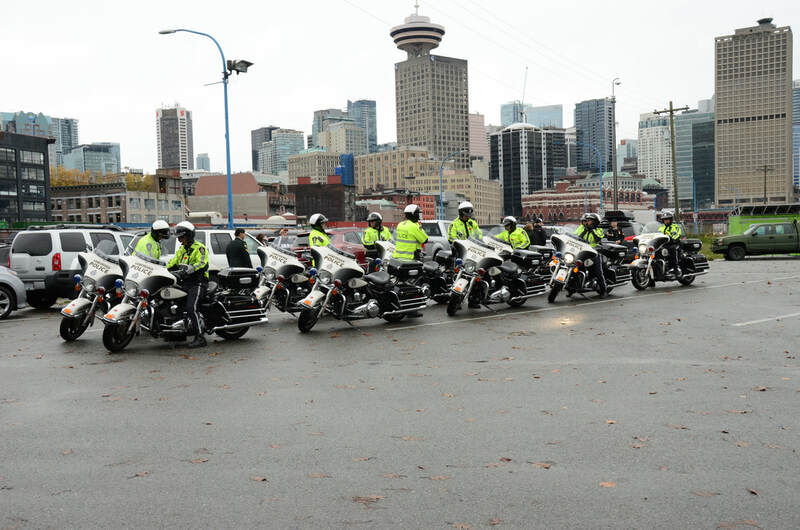 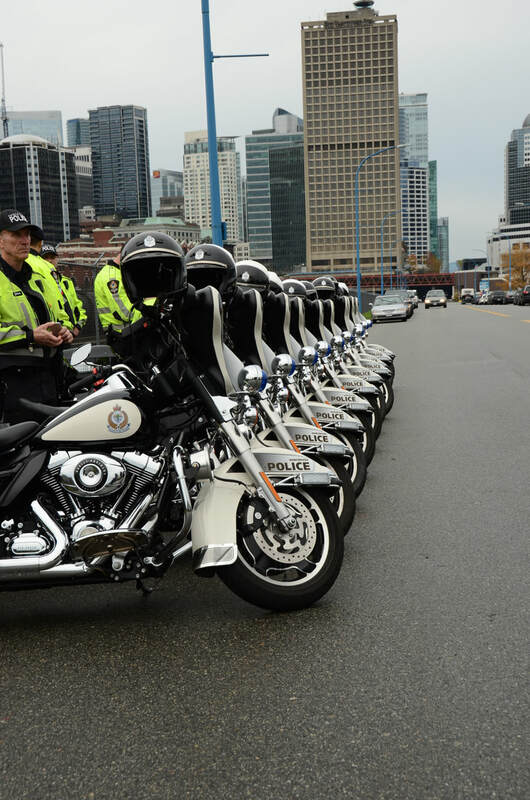 Hope to see YOU on parade next November! Captain Rob Wishnicki managed to catch up with a lot of the former members that came out. 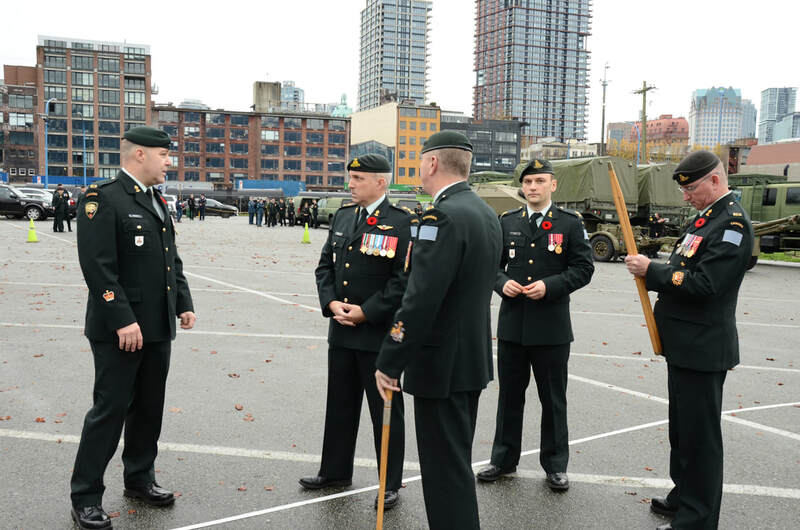 Bombardier Malkit Kalsi, Warrant Officer Clifton John, Sergeant Stuart Haggerty, Bombardier Al McDonnell, Master Bombardier Kevin Rankin. 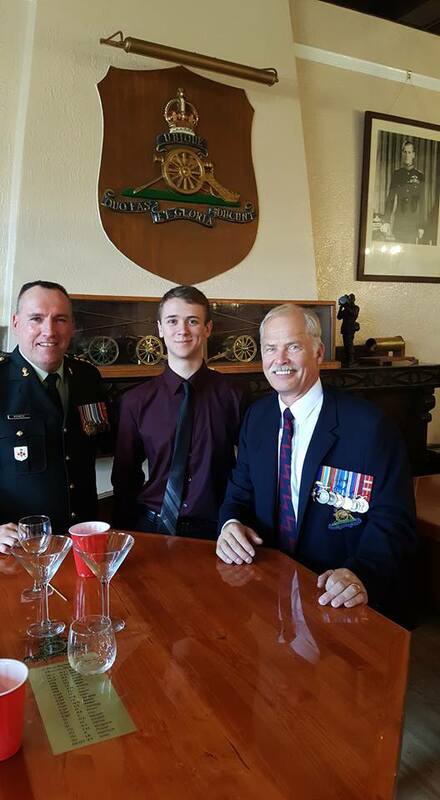 Back in the Officers' Mess for a beer with Colonel Leon Jensen and the newest recruit. 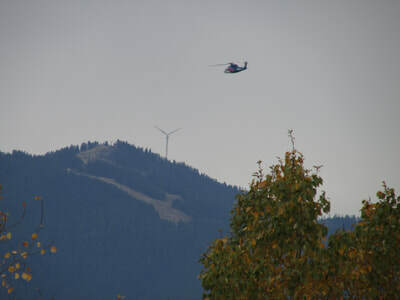 More great pictures from Sergeant (ret) Ralph Webb.